1.3. Why is the SDG Agenda universal? 2.1. How is this universal agenda relevant to business? 2.2. How are companies adapting these 17 universal goals to their specific context? 2.3. What challenges are companies facing? One year ago, the SDG Fund´s Private Sector Advisory Group launched its first report with a clear objective: to understand how the United Nations and the private sector could better work together and partner to achieve the new Sustainable Development Goals. 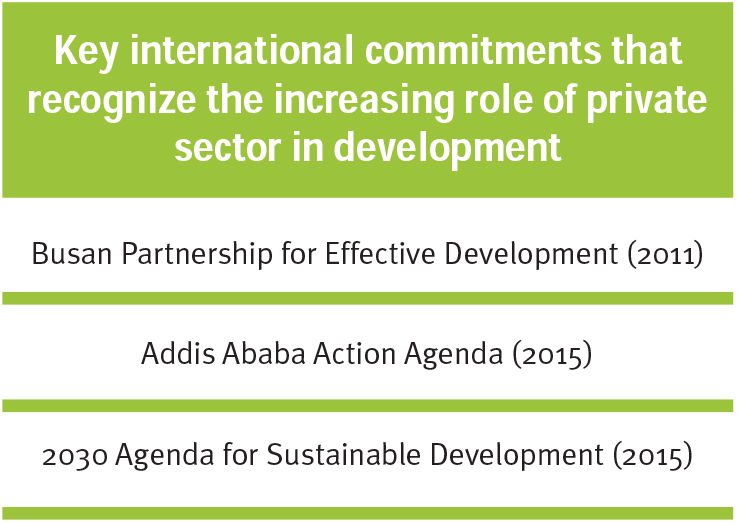 The 2030 Agenda for Sustainable Development clearly recognizes a prominent role for the private sector. Alliances and innovative partnerships between governments, businesses, civil society and UN Agencies are also clearly central to meeting the needs of such an ambitious agenda. Most telling from the report was a key conclusion: businesses want and need to be brought to the table from the very start. Developing partnerships and initiatives must mean that relationships are aligned from the beginning. For companies, true collaboration often means co-investment, but also working to codesign and participating in the implementation and evaluation process. At the SDG Fund, a multi-donor and multi-agency UN mechanism, we are taking these conclusions to heart, and as a result we are eager to continue to devise a greater understanding of engagement as well as build on a new generation of public-private partnerships in the field. Tackling some of the most pressing challenges requires a diverse array of investment and impetus from both governments and businesses. Now, one year into the SDG implementation, our second report sets out to address another key feature of the 2030 Agenda: universality. 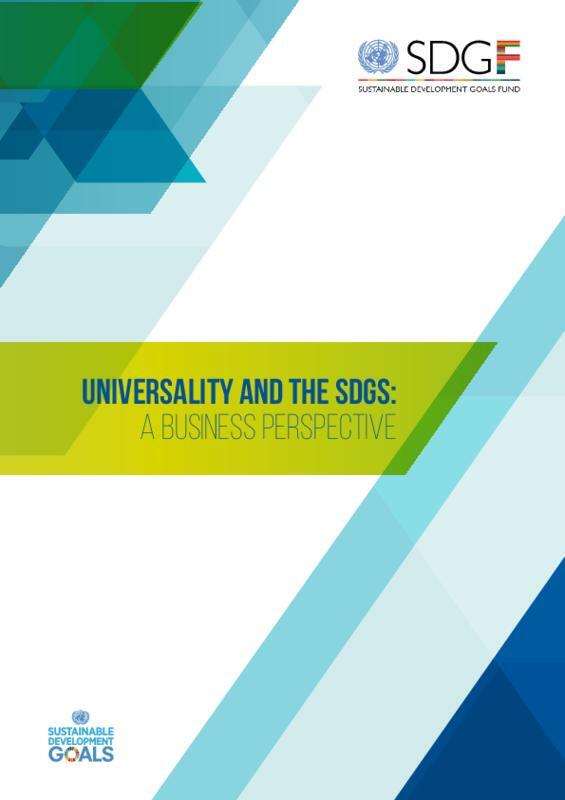 With this report, the SDG Fund intends to shed light on the practical business aspects of the concept of universality and bring the business perspective to the forefront. The fact is that universality offers a clear message for achieving the SDGs in a more inclusive way, leaving no one behind. The concept also envisions a strong role for businesses, both large and small, across all countries and sectors to engage with the SDGs. This means that businesses need to understand the compelling case for the SDGs, determine methods to incorporate them in their activities, and ultimately find ways to make them part of their organizational culture, reporting systems and operations. The report process stemmed from 5 regional workshops and an accompanying survey that allowed the SDG Fund to engage in a focused dialogue with almost 100 companies (and their leadership), representing enterprises of all sizes, sectors and regions. This report aims to reflect their inputs and voices along with those of the SDG Fund´s Private Sector Advisory Group. First, many companies admitted that they did not fully comprehend the depth of the SDGs and, in some cases, how to best implement them, while others were fully embedding the SDGs into their planning processes and current initiatives. In some cases, companies were already contributing directly to the achievement of one or several of the 17 Goals. This is clearly indicative of the need for governments, UN and development actors to strengthen our communication and outreach efforts to ensure that the SDGs are understood, not only by the private sector, but also by citizens, whose behaviors, attitudes and priorities will determine business operations. Second, sustainability, understood in its three dimensions (economic, social and environmental), is the key feature that seems to allow companies to connect with the SDGs. Most companies understand that sustainability is essential for their long term success and to operate and thrive in new markets. The notion of sustainability allows companies to make a significant contribution to the SDGs, often through their core operations. Not surprisingly, this is happening not only among large multinationals but also with some of the SMEs that participated in this study. Organizations such as Global Compact, the Global Reporting Initiative, the World Resource Institute or UNDP´s Business Call to Action are developing useful tools for companies, but according to our findings, only a small selection of the companies participating in this research are benefiting from such learnings. Expanded training on the use of these tools as well as creating new resources will be a key priority going forward. Third, many companies see an added value to building their sustainability plans around the SDGs. This is because they provide an overarching and globallyendorsed framework that can bring together all their current corporate social responsibility, sustainability and environmentally-friendly initiatives. By providing a common language and set of targets, it allows for better communication and collaboration between actors, resulting in a more effective use of companies’ resources and human capital when it comes to sustainability and development initiatives. Finally, in spite of a clear willingness and interest in partnering with public and private sector actors, business are still lacking viable opportunities for engaging in crucial multi-stakeholder partnerships. Overall, business are eager to work with the UN and find the UN to be an important partner for convening programs, especially linked to development initiatives that are innovative, inclusive and otherwise perceived as somewhat risky. The report includes some examples of public-private partnerships that the SDG Fund has established in Nigeria, Viet Nam, Mozambique and the occupied Palestinian territory. This is a critical aspect that will be the focus of the SDG Fund in the next few years. I want to thank all our partners that have been engaged in the process of preparing this report. First, to the companies that have shared their insight and experience, particularly to the member companies of the SDG Fund´s Private Sector Advisory Group. In the last two years, their commitment, creativity, and much needed input has allowed us a greater understanding of how to partner in achieving the SDGs. For this report Nutresa, Organización Ardila Lülle, Fundación Seres, Sahara Group and BBVA Microfinance Foundation, supported us in our efforts to organize regional workshops. A special thanks also to the Global Compact and its local networks that moderated all of the workshops and produced a description of tools already available for companies interested in the SDGs. Especially, thank you to Javier Cortes, responsible for local networks of Global Compact in the Americas. He prepared the first draft explaining the GC compass tool incorporated in the last part of this report. Also, a heartfelt thank you to Ignacio Alvaro, who analyzed the qualitative data (interviews, surveys, transcriptions of workshops) and collected this important reflection and report from the participating companies. I also would like to use this chance to give thanks to the whole team in the SDG Fund. Huan Xiao coordinated the final version; Rebeca Huete who prepared the report’s concept note and questionnaires; Nuria Diez del Corral prepared case studies; Teresa Burelli coordinated the work with PSAG; Karen Newman facilitated valuable comments to the final draft; Raul de Mora coordinated the process for editing and design; the whole team was completely committed and I’m very grateful for it. While going through this report, the reader will find as many answers as questions on how to bring businesses to the forefront of this universal agenda. This we believe is an integral part of the starting point for this report. The 2030 Agenda and its SDGs are the universal property of governments, of international development organizations, of communities, of businesses. But as a universal asset we need to better understand the agenda, and protect it as a collective mandate for the next 14 years. This will be the crux of the SDG Fund´s vision and future work. The Sustainable Development Goals Fund (SDG Fund) is an international, multi-donor and multi-agency development mechanism established in 2014 by the United Nations Development Programme to work across the UN System. The SDG Fund builds on the experience, knowledge, lessons learned and best practices of the Millennium Development Goals (MDG) experience, while expanding its activities towards sustainable development and a stronger focus on public-private partnerships. It brings together UN agencies, national governments, academia, civil society and businesses to support sustainable development activities through integrated and multidimensional joint programmes. All programmes are facilitated in a “co-design, co-implement and co-finance” fashion and bring together an average of three UN agencies per programme. Currently operating in 23 countries, SDG Fund joint programmes are directly improving the lives of more than 1.4 million people. To better align public-private partnerships for sustainable development, the SDG Fund established a Private Sector Advisory Group (PSAG) in April 2015, formed by business leaders from various industries worldwide. These leaders are helping the SDG Fund to build a roadmap of how public-private alliances can provide large-scale solutions for achieving the SDGs. The PSAG bi-annual meeting brings companies together to collaborate and discuss practical solutions pertaining to the common challenges of contemporary sustainability. Day-to-day, PSAG members work closely with the SDG Fund, offering suggestions on how to work more effectively with one another at the national level and provide strategic support to achieve better development results in coordination with the private sector. In November 2015, the SDG Fund launched a report on Business and the United Nations in conjunction with Harvard`s Kennedy School and Business Fights Poverty, based on insights and best practices collected from interviews with business leaders representing a select group of companies from several regions of the world, and a variety of industries that make up the Private Sector Advisory Group. The report outlined the business and development case for increased UN-business engagement as well as recommendations on how the UN can work more effectively on this shared imperative. As major drivers of inclusive economic growth and job creation, and an important partner in achieving the 2030 Agenda, businesses and the private sector realize the pressing need to understand how they relate to the universality aspect of the SDGs. This maintains that the SDGs are applicable to all, including the private sector. Much like Member States, businesses need to integrate the 2030 Agenda into their strategies and actions according to their distinct situation. Bearing this in mind, the SDG Fund consulted members of the PSAG during its bi-annual meetings in November 2015 and May 2016 to jointly work on a report discussing what the universal dimension of sustainable development means for business actors, why the 2030 Agenda is relevant and how it could provide guidance to businesses. The SDGs call for collaborative partnerships between all countries and stakeholders, ensuring that none are excluded. It is an inclusive and universal agenda, built on the co-ownership of all actors and on the understanding that these shared common goals will only be achieved through collaboration and collective action in a transparent, interlinked, universal space. It is a worldwide goal, requiring international cooperation and joint responsibility. To better translate the concept of “universality” into practice requires clarity on the meaning of the term and what it implies, which will also help facilitate consensus towards achieving the SDGs. The UN Charter and the Universal Declaration of Human Rights were among the first international agreements to frame the notion of “universality”. Since then, this term has been used in the context of common principles and standards. Sustainable development was established as a universal agenda at the Rio Summit of 1992. Twenty years later, the Rio +20 outcome document, ‘The Future We Want,’ underscored that the United Nations has a universal and central role to play in establishing an inclusive and effective multilateral system to better address the global challenges of sustainable development. ‘The Future We Want’ also reaffirmed that “sustainable development goals should be … global in nature and universally applicable to all countries, while taking into account different national realities, capacities and levels of development and respecting national policies and priorities”1. 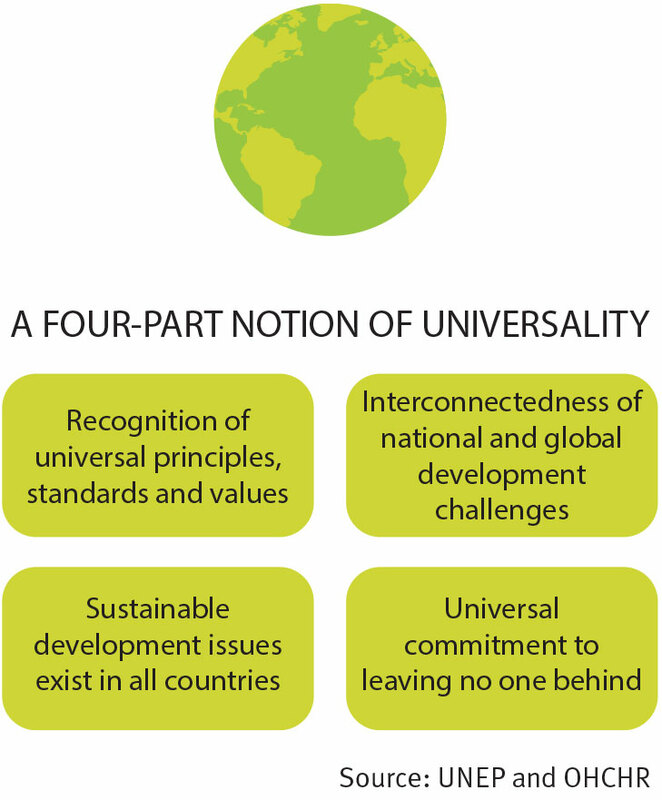 Given the various definitions of universality that exist, the United Nations Environment Programme (UNEP) and the United Nations Human Rights Office of the High Commissioner (OHCHR) have put forward a four-part notion of universality: 1) universality requires the recognition of universal principles, standards and values applicable to all countries and all peoples; 2) universality means recognizing the interconnectedness of national and global development challenges, and therefore universal commitments to address them; 3) universality actions at the national, regional and global level, as well as international cooperation and accountability to all citizens. Also within the UN system is the United Nations Global Compact, which provides a platform for businesses to commit to universal principles in the areas of human rights, labour, the environment and anti-corruption that are based on UN conventions. With a UN General Assembly mandate “to advance United Nations values and responsible business practices within the United Nations System and among the global business community”4 the UN Global Compact works to translate the SDGs into action. Another leading entity in the study of universality in sustainable development is the World Resource Institute. 5 With a focus on universality, integration and policy coherence, early SDG implementation in OECD countries was examined, especially with regards to how these countries are beginning to reevaluate and reshape domestic agendas to bring them in line with the 2030 Agenda. Universality is defined here as “the need for all countries to internalize their interdependencies in their actions, to consider how domestic actions impact other countries and the global commons, and also to take account of new actors who may constrain as well as shape national policies – notably global corporates and civil society networks”6. The definition of universality as it relates to the UN has therefore been clearly established and helps integrate all Member States into the new agenda. Universality in the SDGs requires the inclusion of all, extending common but differentiated responsibilities to all people, countries and actors. Why is the SDG Agenda universal? The “principle of universality” has been widely characterized as a foundational value of the SDGs– and also one of its more innovative ones. It has a long-standing tradition in the UN system and underlies much of its normative work, for instance in the realm of human rights. However, its application has usually been confined to specific regulatory frameworks, not to an all-encompassing programmatic agenda. Unlike the previous MDGs, which were conceived mainly as an agenda for development centered on attaining a set of basic, minimum living standards in developing countries, the 2030 Agenda is universal in scope7. Universal means that the subject belongs or extends to all countries and their people. The SDG Agenda is no longer about developed and developing countries, the rich and the poor; it now extends worldwide. The agenda commits all countries to contribute towards a comprehensive effort for global sustainability in all its dimensions – social, economic and environmental – while ensuring equity, peace and security. These goals show that our society, from each individual to every collective organization, has an agenda to achieve and that sustainable development has become a must for all if the world is to survive and progress is to be shared. It is also time to learn from recent history using the MDG experience. In 2000, the UN committed itself to eight ambitious MDGs for reducing global poverty by 2015. And it worked. From 1990 to 2010 the number of people living in extreme poverty was cut in half, from 43% to 21% of the world’s population8. The MDGs helped to make the claim for poverty eradication global, bringing the attention and support of not only governments and aid institutions, but new philanthropic organizations and some private sector organizations and corporations. Additionally, this was the first time all UN Member States have agreed to name and quantify international development goals, which has helped to align and mainstream development strategies and efforts towards common objectives. These great global challenges will require innovative approaches and new partnerships to promote responsible public and private investment, sustainable public engagement and collective action. Fortunately, times have changed and awareness regarding the potential role and contribution of the private sector in addressing some of the global development challenges has significantly evolved. The new international commitments emanating from the Busan partnership for Effective Development12 in 2011, the Addis Ababa Action Agenda in 201513 and the 2030 Agenda for Sustainable Development14 call for greater private sector participation in the design and implementation of development policies and strategies to foster sustainable growth and poverty reduction, and to innovate financial mechanisms to mobilize private financing for the sustainable development agenda. To explore the concept of universality in the context of what it means for the private sector, and to communicate the necessity of understanding the universality perspective of SDGs for companies, the SDG Fund has conducted five workshops in Nigeria (Abuja), the United States (Houston), Spain (Madrid) and Colombia (Bogotá and Medellín). Co-organized by PSAG members Sahara Group, BBVA Microfinance Foundation, Seres Foundation, Grupo Nutresa, and Organización Ardila Lülle, the workshops aimed to raise awareness about the SDGs and to learn how businesses are engaging with the 2030 Agenda. The Fund has brought together nearly 100 private sector actors to explore the universality concept in practice. The workshops aimed to involve companies that differed in terms of size, sector and regions of operation. Background information on universality and the SDGs was sent to workshop participants ahead of time. The SDG Fund also developed a questionnaire to facilitate effective discussion at the workshops and help achieve meaningful outcomes. All workshops were moderated by United Nations Global Compact representatives, utilizing their expertise and experience interacting with the private sector. The outcomes of these groups were recommendations and suggestions concerning their challenges and experiences. Many of the reflections by workshop participants and questionnaire respondents, when found relevant with the overall analysis, have been included in the report. The five in-person workshops and 41 questionnaires received from workshop attendees form the basis of this report. The group of 93 companies that have contributed are referred throughout the report as participants or participating companies, in all cases referring to the overall group, or specific percentages according to the contact analysis. The chapter 2 of this report reflects the work carried out during those workshops and the related questionnaires submitted by the companies. It shows the experiences and challenges from different businesses coming from varying industries, backgrounds and countries to try to understand how businesses are already contributing to the SDGs. For a more in-depth analysis, this report also draws lessons from other publications to support the findings. How is this universal agenda relevant to business? If the push for greater private sector involvement in Sustainable Development is to succeed, it is essential to understand how this agenda is relevant to businesses and why. The majority of the participating companies relate to the SDGs through their sustainability strategies. All have stated that SDGs are potentially applicable to any company, whether public or private, small or large, national or international. However, what is most significant is that all of them agree that their main capabilities to contribute to the SDGs lie in their core business, which represents a key change from previous philanthropic approaches. Companies are challenged more than ever by the changes in the global economic environment and have realized that sustainable growth will only take place if it incorporates social, environmental and economic impacts to their activities and strategies. Inequality has been increasing around the world, but access to information and the democratic power it contains is now universal. Therefore companies, institutions and, certainly, governments are now held accountable by citizens more than ever before. Knowledge management, the information economy, the incorporation of intangible assets to the valuation of the company, etc., are producing a major change in the business management model, which has extended companies’ visions towards an integrated approach conducive to building sustainable relationships with society. During the last few decades, companies have been increasingly placing responsible practices and sustainability objectives at the heart of their strategies. For the participants, sustainability has become a main principle of businesses’ corporate strategies. In fact, sustainability in business is becoming an essential component for organizations’ success. By meeting society’s demand for solutions to social problems, sustainability brings to companies a competitive advantage that ensures their long-term viability. Efforts towards sustainability are increasingly considered more as investments than costs. According to a 2016 study15 by Massachusetts Institute of Technology Sloan Management Review (MIT SMR) and The Boston Consulting Group (BCG), based on a 2015 global survey, nearly 90% of surveyed companies consider sustainability strategy essential to remaining competitive. Responses to our questionnaire show that many participants believe the SDGs are able to enhance the competitive advantage of companies, such as helping to streamline and communicate their sustainability efforts to stakeholders. In a paper for the National Bureau of Economic Research, Robert G. Eccles, Ioannis Ioannou and George Serafe16 researched the differences in performance between companies that had adopted sustainable policies by 1993 and companies that had not. Using data from 180 entities, they found that by 2009, companies that had adopted such policies were more likely to be long-term oriented and more transparent. However, what was most interesting was the realization that those companies greatly outperform their counterparts over long-term periods. Harnessing business’ core role in generating growth, productivity and jobs—all core drivers for progress. Accessing private sector innovation around technologies, products, services, processes and business models. Creating opportunities to achieve scale by harnessing businesses’ knowledge of designing business models to meet specific customer needs in a scalable way. Leveraging public sector and aid investments with corporate philanthropic, social or commercial investment. 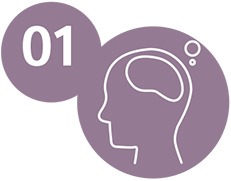 Accessing complementary know-how and skills. Building alliances to promote responsible social and environmental good practices, as well as spreading broader values and norms such as protecting and respecting human rights, promoting good governance and accountability, and increasing inclusion and equality. Securing the long-term success of business by improving the broader enabling environment and ecosystems in which business operates. Identifying and managing material risks and costs. Building reputation, strategic market positioning and safeguarding a license to operate. Strengthening relationships with employees, customers and other stakeholders. Creating or accessing new markets. Technology, product, service and business model innovation that contributes to the SDGs also offers opportunities to reach new growth markets and strengthen competitiveness. Aligning business action with the vision of the company’s leadership and expectations of its employees, customers or clients. The previous SDG Fund report, Business and the United Nations: Working Together Towards the Sustainable Development Goals, introduced key benefits for institutions and companies working with the SDG Agenda as shown in the box above. These benefits will be highlighted throughout the report by the companies’ experiences. citizens believe it is important that business signs up to the SDGs, and 78% of citizens said they were more likely to buy the goods and services of companies that had done so. But not only consumers are more likely to be impacted by SDG-oriented businesses. According to a MIT SMR report18, 60% of investment firm board members are willing to divest from companies with a poor sustainability footprint. How are the SDGs relevant to business? For SABMiller, a multinational brewing and beverage company, though philanthropy and community investment continue to play a role in sustainable development, its most powerful contribution to the SDGs will be made through its core operations and its value chain. Specifically, the jobs it creates and sustains, the economic growth and investment that it stimulates, the way it stewards natural resources, and the high standards of responsible behavior that it set for itself across the business. The mission of the SERES Foundation is aligned in many ways with the objectives of the SDGs, which is to promote the transformation of the business reality to create better societies. Moreover, the SDGs have become the universal language and vehicles that can facilitate the path to achieve the goals. The foundation highlights the importance of adopting SDGs and therefore encourages the integration of the goals in the companies they work with. For BBVA Compass, using the SDGs as a framework is particularly beneficial as it provides a clear starting point and encouraging the establishment of a wider culture of sustainability. In addition, by using a universal agenda such as this, they hope their efforts will help foster an environment where other organizations will be encouraged to adopt these same goals, creating a collaborative information-sharing environment and more effective steps towards achieving the SDGs. Postobón, a beverage company, believes that their business has a great transformative capacity and responsibility to contribute to sustainable development. The global agenda is an opportunity to establish alliances and partnerships. The company has integrated the 17 SDGs into its mission, vision and values, transferring them to the essence of its business strategy. Ebro Foods, a multinational company in the food-processing sector, sources agricultural raw materials and produces finished products in developing countries. SDGs 2, 3, 12, 13 and 15 are key for them and are reviewed regularly to track objectives and results. BBVA Microfinance Foundation, is a non-profit institution launched by the BBVA Group as part of its CSR, with the mission of promoting sustainable and inclusive economic and social development for vulnerable people, through financial inclusion. Its activity is aligned with the SDGs. Grupo Nutresa is one of the largest food companies in Latin America with 8 business units, Cold Cuts, Biscuits, Chocolates, Coffee, Retail Food, Ice Cream, Pasta and TMLUC (Tresmontes Lucchetti). The company currently has a presence in 14 countries and products sold in 72 countries in 5 continents. It is committed to developing new ways of doing business, considering the capability they have to positively transform the social problems that take place in the territories in which the company operates. In the same way, its geographical scope allows them to spread the positive impact of any action that is intended to do. The Organization has aligned its actions to the achievement of the SDGs to join this important global agenda. Beyond the work they do internally to help achieve a number of the SDGs, KPMG Spain believes their main contribution to the advancement of the 2030 Agenda is through SDG 16 and their role in helping improve the business sector’s integrity and trustworthiness. They encourage transparency, counter corruption and maintain their strict independence to ensure their services help improve accountability in the private sector. They aim to make the companies they work with more competitive, better managed and more responsible, therefore improving stakeholder confidence and helping create an environment that fosters cooperation and trust. Supracafé, a small enterprise dedicated to the production of coffee believes that its employees’ and coffee producers’ welfare are key principles for its success. For them, sustainability is their quality-adding value. Being small, it has been easy for them to translate the language of the SDGs into the entire organization. Everyone is fully engaged. According to the IMF, formal micro, small and medium enterprise (MSME) employ more than one third of the world´s labor force. AIG, an insurance company, shared that it is forming a sustainability network across companies. It highlighted that there is a general interest in building partnerships in line with SDG 17. However, it is challenging to build business cases to have buy-in support of shareholders and other stakeholders. Olam, a global agri-business, believes its wide reach across global agricultural supply chains places it in a unique position to positively impact the three pillars of sustainable development: people, planet and prosperity. According to them, more than any other sector, agriculture faces huge sustainability challenges that are complex. On a global scale, their operations and those of their suppliers are at risk due to climate change, poor soil quality, water scarcity and energy security. And as the global population is greatly increasing, the risk of further depleting our natural resources to ensure global food security adds additional challenges. Alta Vista, a company manufacturing corrugated cardboard, chose Limon (Costa Rica), a traditionally deprived region, to establish its operations. This contributed to economic growth and job creation in the region. Lift Fund, a financial company, finds that SDGs 1, 7, and 8 are highly relevant to its business since it focuses on micro-lending to non-privileged individuals. Fidelity Bank, a Nigerian Bank, uses the SDG Agenda as a lens through which to refine its strategic priorities. Being a part of this larger framework opens new business opportunities. Williams, a natural gas transportation company, considers that SDGs 4 and 8 are of particular relevance to its business. The company highlighted its strategies in relation to education, responsibility in climate and gender issues, as well as its partnerships with others actors. Inditex, a clothing company, after many years working with their value chain, is now working with their employees to see where they have greater opportunities and capabilities to contribute. Inditex employees are now committed to sustainability in and out of their supply chain, not purely as a part of their philanthropic involvement, but because they see that it is vital to their commercial success. Citgo, a petrol industry company, stressed the importance of SDG 4. In their view, ensuring inclusive and equitable quality education is a crucial aspect for guaranteeing their workforce is adequately trained. Grasco, an oils and fats company, believes that the SDGs are important because they broaden the perspective of the company regarding its role and impact on social, environmental and economic level. * In October 2016, SABMIller was acquired by AB InBev. This report refers to strategies and initiatives prior to the acquisition. ** IMF, MSME Country Indicators. Available from http://www.ifc. org/wps/wcm/connect/Industry_EXT_Content/IFC_External_ Corporate_Site/Industries/Financial+Markets/msme+finance/sme+banking/msme-countryindicator (accessed 11 October 2016). How are companies adapting these 17 universal goals to their specific context? The majority of participants stated that the SDGs that are most relevant to them are those related to environmental sustainability (11, 12 and 13) and decent work and inclusive economic growth (8). Many companies are strengthening their internal strategies to ensure that they reduce their environmental impact and improve the quality and conditions of their employees in all countries where they operate, recognizing the importance of human capital and employees` well-being for the company sustained success. The following sections show some of the key trends in how companies are adapting their businesses and strategies to the SDGs. The majority of the workshop’s participants, over 75%, indicated that they are already integrating the sustainability agenda into their corporate strategy through sustainability plans. In most cases, these plans incorporate not only environmental but also social and economic impact goals and indicators. These results are in line with a 2011 McKinsey report19 that concludes that many companies have been actively integrating sustainability principles into their businesses and have been doing so by pursuing goals that go far beyond earlier concerns for reputation management; for example, saving energy and developing green products. Additionally, the majority of executives interviewed indicated that sustainability programs make a positive contribution to their company’s short- and long-term value, but they also expected operational- and growth-oriented benefits in the areas of cost-cutting and pursuing opportunities in new markets and products. Ferrovial, one of the world’s leading infrastructure operators and municipal services companies, is confident that it can play an important role and contribute its expertise and know-how to achieving the SDGs. The company maintains that its business activities have a direct impact on the SDGs 6, 9 and 11. Cities are growing, affecting transportation and causing environmental issues, but expertise in the infrastructure and services industries can contribute to sustainably solving some of these pressing issues. into its business through ﬁve shared imperatives: 1) accelerating growth and social development through the company’s value chains; 2) making beer the natural choice for the moderate and responsible drinker; 3) securing shared water resources for the business and local communities; 4) creating value through reduced waste and carbon emissions; 5) supporting responsible and sustainable use of land for growing crops. The Organización Ardila Lülle, a major Colombian conglomerate, through its beverage company Postobón, and in partnership with the other beverage companies that participate in the National Business Association of Colombia (ANDI), decided in 2016 to self-regulate in five areas, including restriction of soft drink sales in primary schools, promotion of healthier lifestyles, portfolio innovation, advertising to minors and labelling which contribute to SDG 2 and SDG 12. Ebro Foods is working on SDGs 2, 3, 12, 13 and 15 directly through its core business. Promoting sustainable and climate smart agriculture and sustainability in its supply and value chain, the company impacts numerous objectives and goals, as well as the three pillars of sustainability (social, environmental and economic). Resinplast, a plastic packaging company, thinks that the main challenge it faces in taking the SDGs onboard is incorporating sustainability into its products. Plastic is a material that, without proper treatment and recycling, is not sustainable and harms the environment, since it takes a long time to disintegrate and generally is not recycled by the public. In this context, it has developed more efficient packaging by reusing and recycling all materials used in its value chain and has established a strict recycling policy. Enagas, an energy company, already contributes to many of the goals through its business and is now adapting its language to the SDGs terminology. It is in the process of internal analysis to determine which SDGs it is having a greater impact on. Grupo Nutresa developed a correlation between their corporate sustainability priorities and their 23 material aspects with the SDGs in order to understand the alignment of its strategy with the global goals. This analysis has allowed to define those SDGs in which they are going to strength their efforts in the upcoming years, has encouraged the development of trainings and workshops either with executives, employees and suppliers, and has helped to address new actions and initiatives towards social and environmental challenges not only in its own operation but through its value chain. Olam is focusing on the SDGs to contribute to addressing both the direct (growing, processing and distribution) and indirect risks (sourcing, trading) in their supply chains. The company believes the SDGs will also help to open up profitable, sustainable opportunities for Olam and improve livelihoods for their suppliers. The company’s purpose is “Growing Responsibly” to ensure that profitable growth is achieved in an ethical, socially responsible and environmentally sustainable manner. By including commercial factors, such as having a sound business model with strong risk management and governance, the company protects its investors, shareholders and employees, which in turn means it has a resilient and sustainable business for its farmers, suppliers and customers. Prisa Group, a media conglomerate, articulates its sustainability strategy in all three areas serving the SDGs (economic, environmental and social). Having content generation as its main activity made the company believe that the Sustainable Development Goal it can impact most is SDG 4 (education), through the development of educational content and dissemination of good practices. For Mane, a food flavors company, the Agenda helps to align its strategy with the three dimensions of sustainable development. Acciona, a multinational infrastructure company, has articulated its sustainability strategy in a strategic master plan. In March 2016, the company analyzed its past activity and concluded that it has contributed greatly to SDGs 7, 9 and 13. Since then, it has pledged to focus on three objectives: ensuring access to water, providing energy to remote and isolated areas (especially in Latin America), and becoming a carbon neutral company. Siemens AG, a multinational engineering company, considers itself an organization that makes solutions to help societies succeed. The company organizes its activities based on six pillars which are closely related with the SDGs: Driving the Economy, Developing Local Jobs & Skills, Value Adding Innovation, Sustaining the Environment, Improving Quality of Life, and Supporting Transformation. The OHL Group, a global construction company, has created a new strategic plan for sustainability in accordance with the SDGs in the United States, Canada, Spain and the Czech Republic. In addition to the company’s impact through its core activities, the group has been implementing a project called “employability for development” aimed at disadvantaged groups, which directly impacts SDG 8. Smurfit Kappa, a packaging material company, is dedicated to social projects related to early childhood and health, education and employment for youth and to environmental projects related to the local communities where their plants are located. They specifically work on improving the quality of education in the municipality of Yumbo, with emphasis on the area of i nfluence of the Company, impacting positively the SDG4. Organic Evolution, a food colorings company, works with Colombian Pacific communities through productive projects for planting achiote, assuring sustainable practices in their productive process and helping the community, impacting SDG1. One of the first challenges participating companies found in the appropriation of the SDG Agenda was to understand the SDGs themselves and their possible alignment with their own business strategy. Some companies recognized that incorporating the SDGs into their businesses was an exercise that required internal reflection and time. Only when the company employees are fully aware of the SDGs and knowledgeable of their potential impact, can they work to improve performance and to think more strategically about how to maximize the Agenda’s positive social, environmental and economic contribution. In this sense, more than half of the workshop participants have identified internal interest groups to raise awareness and engage them in the development and implementation of a strategy involving the SDGs. Participants of the breakout sessions during the Nigerian workshop suggested some actions for companies to raise awareness: in-house training on SDGs, taking into account the communication strategy to accommodate the diversity of languages spoken by the employees, and using an integrated communication strategy with a mix of traditional and social media. This is in line with a report from The Economist Intelligence Unit20, in which companies’ executives reported including sustainability in a variety of corporate functions like educating employees on sustainability (32%) and engaging employees in sustainability-related activities (30%). Fifty-four percent reported that their sustainability efforts have been led by senior management. Throughout 2016, Ferrovial worked on its New Strategic Plan for Corporate Responsibility for the next three years. It will be implemented in all the businesses and regions where the company operates and it focuses specifically on the SDG Agenda. This plan has been designed by the members of the Corporate Responsibility Committee and will be approved by the Board of Directors. Postobón, part of the Organización Ardila Lülle group, took actions in all 17 SDGs, and has incorporated 10 SDGs into its corporate strategy, where it can have the largest possible contribution. In line with this, it understands the importance of increasing sustainability awareness across the organization. To ensure this, communication strategies are being implemented in every production plant and company building to raise awareness, educate and insert the ideas that a company’s decision-making must be based on sustainability issues. Another company of the Organización Ardila Lülle, RCN Radio, recently achieved the Sustainability Certification from ICONTEC, as a result of a long lasting commitment towards increasing the social, economic and environmental impact of its radio stations across Colombia. Grupo Nutresa firmly believes that it is competent and committed people who make the difference. Therefore, wants to create a sustainability culture through several educational scenarios inside its organization. Examples of these scenarios are the so called sustainability weeks, the Annual Sustainability Event and the specific trainings to executives and leaders that take place during the year. For instance, in the last year these trainings have been focused in spreading the general understanding of the SDGs and the role that each of the employees has in order to accomplish them. Astek, a food production company, has designed an internal SDG awareness plan. This process begins with the communication and training of the Management Committee and of all ASTEK employees. The Integrated Systems Manager and the Environmental Coordinator lead the process with management support. There are monthly meetings with the management committee and the entire management system is reviewed with the heads of all departments in the company. Many of the SDGs are indirectly present in the company’s annual management goals and others will be gradually included both in the goals, and the activities and operational programs. For Iberdrola, an international utility and energy company, SDGs are now at the heart of the company and are penetrating all departments, including senior management. Workshops for managers explaining the SDGs and the role the private sector plays in achieving them have been organized worldwide. Its president believed in the SDGs from the start, which helped their integration into the core strategy. Every Monday the steering committee meets to present investment initiatives. Each of the presentations makes reference to the impact on the SDGs. Corporation FDC Técnica Industrial, a company that specializes in coding and marking systems, considers it essential that they raise awareness about the SDGs throughout their entire organization. And the process will not end with its internal staff; the company is planning to spread this knowledge and share it with the company’s stakeholders. HRA Uniquímica, a chemical producer, is working to raise awareness inside the company so all employees understand the impact of their activities on each of the 17 SDGs in order to integrate them in their jobs. OHL Group has worked with its senior executives to improve the internal use of the SDG language. The company intends to align all its initiatives with the SDGs. Alta Vista is contributing to SDG 2 and raising sustainability awareness through an “Organizational Vegetable Garden.” The company provided some land for its employees to voluntarily work on (planting, maintaining it and cultivating vegetables) in order to obtain organic crops that are served for free in the organization’s dining hall. So far, about hectare of land has been cultivated or is in the maintenance process to plant the first crops. Over 50% of participating companies have chosen to start their SDG integration by doing an internal diagnostic in order to identify which areas they have greater capabilities in and where their main challenges lie. In this diagnostic process they have also identified which SDGs they can impact through their core businesses. Grupo Nutresa has performed a mapping of the SDGs using the SDG Compass. Through this tool, the company linked its business areas to the new goals. To analyze the SDGs, Grupo Nutresa began reflecting internally on three basic ideas: what projects were launched, which generated positive impact in the community, and how this impact could be enhanced. To positively achieve the SDGs aligned with the Grupo Nutresa sustainability strategy, clear actions have been implemented such as Understanding the goals, establishing baselines according to each SDGs, defining KPIs to measure their contribution, designing or strengthening initiatives to improve our SDGs contribution and monitoring the agreement of the new KPIs. Telefónica, a multinational telecommunications company, has studied the 17 SDGs and evaluated both its positive and negative impact on them. It believes it is able to contribute in all three dimensions posed by the sustainable objectives. For Repsol, a multinational oil company, the SDGs represent a new paradigm with which to assess its impact towards achieving a better world and to coordinate stakeholders’ expectations. The starting point to measure its impact began with the collection of information and its analysis by sustainability committees (from global to operational centers in different countries). To perform this task, Repsol switched from a traditional approach to a more holistic sustainability analysis. All company departments have discussed sustainability as a cross-cutting strategy in senior management committees. Thus, for the company’s internal diagnostics the firm has followed a “bottom-up” strategic thinking approach. Banco de Crédito Cooperativo, a company in the rural financial sector, has also conducted an analysis to better understand its positive and negative impact on the SDGs and to include them in the heart of its business. The Board of Directors has also analyzed the SDGs, concluding that agriculture and rural finance are vital activities to all sustainability objectives. The bank has created two agricultural and livestock research centers to contribute to agro-sustainability, efficient use of water, and to combat desertification. Lastly, based on the workshops, almost 50% of participants have indicated that they have engaged in the SDG Agenda thanks to either government legislation or international standards and policies that have guided their efforts and transformed their activities into concrete actions and processes. Duas Rodas, a company dedicated to the extraction of essential oils from fruits with a presence in Latin America, contributes to SDGs 1 and 2 promoting food security and sustainable agriculture. For this, it will introduce the FSSC 22000 Certification in all its plants. The FSSC 22000* standard was developed by the Foundation for Food Safety Systems Certification (FSSC) as a complete tool for food security. Grupo Nutresa has aligned its performance with climate action, with one facility in Costa Rica certified under the national standard as carbon neutral, as well as two of their major product brands sold in Chile. In addition, Grupo Nutresa has been participating along with different entities to define the best way of aligning their corporate sustainability indicators with the national and global metrics. As part of this process they have held meetings with the National Secretariat for the SDGs, and have participated in global initiatives such as “Measure What Matters”. * The FSSC 22000 is an independent certification program for food security, based on ISO standards accepted by the GFSI and worldwide leaders for the entire supply chain. Available from http://www.fssc22000.com/documents/home.xml?lang=en. Despite many companies’ early engagement and commitment to integrating the SDGs in their business processes, there are many challenges ahead. Key concerns cited by company participants can be categorized into four major groups: reconciling universality and diversity; defining metrics and indicators; societal awareness and engagement; and forming alliances between governments and the private sector. First, the challenge of scaling-up. Second, we need enabling regulatory frameworks to incentivize and unlock private investments for sustainable development. This is a responsibility of governments and the 2030 Agenda serves as a useful reference for their actions. Third, global change must be built from the bottom up. Fourth, putting in place mechanisms that will ensure credibility, accountability and transparency. One of the greatest challenges to SDG adoption comes from their main advantage: universality. Differences in things such as values, norms, skills, political systems, levels of corruption, legislation, weather or geography across countries and societies can pose context-specific challenges to the implementation of universal goals. For example, some participating companies from Africa highlighted the challenge of dealing with certain cultural values when implementing the SDG Agenda, especially those related to gender equality. Olam points out that, in addition to poorly regulated competitive environments which make it risky to invest in farmer training and financing, one of the most difficult challenges it faces is promoting women’s empowerment in the face of cultural norms and practices that bar women from owning land, farming cash crops or participating in trainings and meetings. 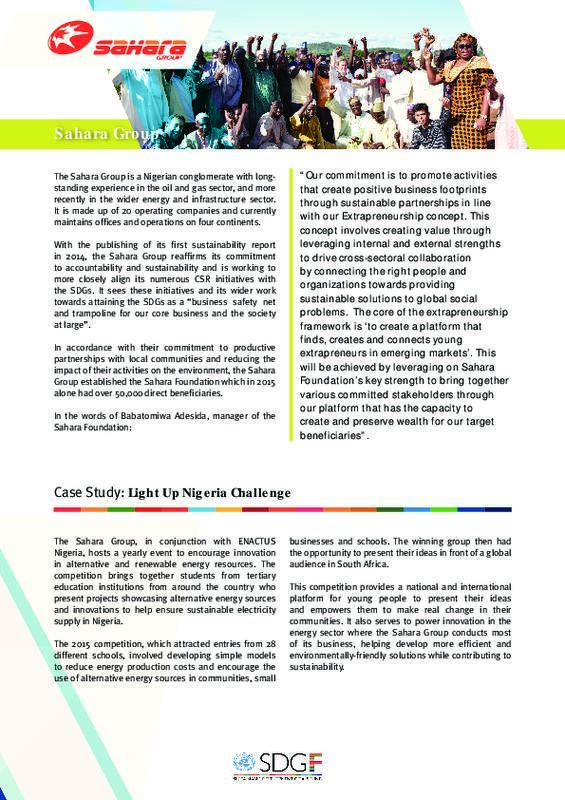 Sahara Group, a Nigeria-based privately owned Power, Energy, Gas and Infrastructure conglomerate, concurs with Olam’s views and considers that some cultural and religious views, such as the prohibition of women to engage in paid employment, land ownership, public speaking or leadership positions constitute major challenges. They also point out that government red tape and corruption are additional factors that can slow down the implementation of sustainability programs. H&M, a global fashion company, stated that its implementation of the SDGs differs by country, both because local challenges and priorities differ and since local contexts to a specific issue are also different. This implies that different solutions are needed to address the same issues in different countries. Grupo Nutresa has defined its priorities for sustainable development considering the UN global 2030 agenda, which requires staying ahead in sustainable global practices that ensure competitiveness along their business units and countries. To contribute effectively to this new global agenda, there is a system in place that works on closing the gaps, taking into account the stakeholders` expectations and developing partnership. Ebro Foods, Iberdrola and Acciona point out that in some contexts, beneficiaries have shown distrust and have been reluctant to view the private sector as an actor of sustainable development. To solve this problem, these companies have strengthened the dialogue with communities to reduce prejudices that civil society has sometimes had against enterprises. Ebro Foods shared its experience with farmers involved in joint projects with the company. It explained that once they get to know the firm, they understood the benefits of collaborating with it and engage in new initiatives very easily. For its part, according to Iberdola’s experience, some beneficiaries who are used to receiving subsidies feel that companies should only act as donors and not contribute as sustainability actors. So, although the private sector is the main driver for inclusive businesses and sustainable development, its contributions and market-based approaches to development are by no means a panacea. Endeva, an organization dedicated to catalyzing innovative solutions for inclusive businesses, shows evidence in one of its reports21 that government action has often been decisive for the success and growth of innovative inclusive approaches. To achieve the SDGs and overcome the challenges posed by the implementation of a universal agenda in a context of country and societal differences, close cooperation between private and public sectors is needed. In this regard, Pascual, a dairy company, deems it critical that countries reveal their challenges and objectives to achieving the SDGs. If a national plan regarding SDGs is defined, it would be easier for companies to design their sustainability strategies in a way that is both aligned with their corporate objectives and consistent with national public policies. Once companies have identified their impact on the SDGs many of them encounter serious problems when determining metrics and accountability mechanisms. According to a PwC survey22, just 29% of the companies are setting goals or preparing to set goals aligned with the SDGs that are relevant to their business. Likewise, only 13% of the firms have identified the tools that will help them assess their impact against the SDGs that are relevant to their business. Even in five years, only 30% think they will be using impact assessment tools. Assessing impact is fundamental to valuing the positive and negative contributions businesses make to the SDGs. Without the tools being identified and in use, businesses will struggle to engage effectively. As it was pointed out during the workshops, large companies have the resources to introduce goals and impact measurement systems related to their sustainability strategy, but MSMEs have many more constraints. In this context, the SDG Agenda has helped to mainstream the sustainability language and facilitated the assessment of the business impact on the new goals. H&M points out that one of the main challenges ahead in engaging the private sector in the SDGs is finding methods and ways to track and report on the impact of the company’s activities on the SDGs. In this sense, adapting the global KPIs and indicators for each of the SDGs to private sector will be crucial. Based on this, companies may then find methods and ways to assess their impact and guide their work further. Existing reporting standards have a potential role to play here. However, it will also be important that such methods and recommendations leave room for adaption to the varying contexts of different industries, finding a balance between one-size-fits all solutions and adaptation to specific industry characteristics. BBVA Compass acknowledges that there are some key internal challenges that affect the process of implementing the SDGs, such as the need for indicators that allow for goal-setting and charting progress, the initial time investment required to assess how a company can best contribute to the SDGs and setting in place specific initiatives, and the difficulties of coordinating between different sections of the company or organization to provide a concerted response. Ferrovial points out that economic and financial value is reflected in the balance sheet and the P&L account, but social value is not reflected at any corporate level. In order to illustrate all value that a company has created in line with the SDGs framework, there is the need to develop a method that enables the measurement and reflection of social impacts as well, taking into account the interest groups with which the company interacts. Therefore, Ferrovial acknowledges the importance of finding the most appropriate methods for measuring the social impact of its actions in order to evaluate the progress made in achieving the SDGs. Along with the SDG Compass, Ferrovial also includes the following among its useful tools: Social Return On Investment (SROI), London Benchmarking Group (LBG) and Impact Model Capacity Index EADA-BEINGS. The PwC SDG Engagement Survey23 shows that awareness of sustainability among companies is much higher than among citizens. While 92% of companies knew about the SDGs, only 33% of citizens that participated in the study were aware of them. Workshop participants also acknowledge these citizens’ lack of awareness. Almost 50% recognize that the agenda is still not very well known by the general population. Given this situation, many survey participants have undertaken training and awareness programs within their companies to address this challenge. However, they recognize there is still great work ahead to raise societal awareness. The participants were surprised that such an important initiative, aimed at finding a stable balance that meets the aspirations of the various stakeholders and allows the achievement of sustainable development, is not better known. They insist that the UN and UN Member Statesincrease advocacy on sustainability issues, working with the media to disseminate the 17 SDGs and their targets. Additionally, there is a challenge for those companies that do not directly reach consumers. Griffith Foods, a food processing company, points out that companies which do not serve final clients directly face an additional hurdle since it is more complicated for them to get involved with customers. In this sense, sustainability actions pursued by suppliers do not have a big impact on the reputation of the company. Consumers are disconnected from their products and their actions have less visibility. To overcome this challenge, the firm began to reach out to the final consumer and promote its sustainability efforts. Grupo Nutresa is committed to engaging and spreading the SDGs´ message throughout its value chain, so suppliers, customers and internal public development, will have great relevance in the SDGs adoption. Barriers and challenges for companies due to market inefficiencies and absence, or constraining regulations, together with the short term vision of many companies, sometimes lead to exacerbated inequalities, corruption and tax evasion24. Some of these obstacles can be overcome by collaboration with development actors. Others call for regulatory oversight or vigilant non-profit watchdogs and an open media. However, establishing alliances to jointly pursue sustainability goals still remains a great challenge for companies. Over one-third of participating companies consider it essential that governments and institutions keep working to facilitate and generate incentives for partnerships and alliances. Institutional agreements at higher levels are becoming more frequent, but they found it especially challenging to reach implementation agreements at the local level where companies’ activities happen and most of the operational problems take place. Such alliances could contribute greatly to risk management and improving proper accountability. Based on their experience with the MDGs, participants working in groups during the Nigeria Workshop pointed out a number of issues that prevented stronger and more impactful partnerships between private sector and governments, including: poor and late communication on what the MDGs were and the areas in which the public and private sectors could have worked together; different timelines for activities with respect to MDG implementation; an urgent need in the improvement of the measurement and evaluation of Return on Investment and Impact; and lack of a clearly defined role for the private sector in terms of project funding and implementation. These companies recommend that areas for action by each sector should be identified, reforms should be evaluated for efficiency and effectiveness, and more forums should be planned to create communication platforms between both sectors. For example, ANDI found the biggest challenge in the appropriation of the SDGs to be coordination with the public sector and civil society. The association believes partnerships must begin by breaking down barriers and building trust. Each actor must play their part and be the best version of themselves. Alliance members must be self-critical and flexible with partners, and work together as a team to complement each other’s strengths and offset weaknesses. Moreover, large corporations like Grupo Nutresa can play an important role by committing stakeholders and actors in the value chain to achieve a proactive involvement and build common understandings according to the guidelines and actions that allow effective initiatives that contribute to the SDGs. Since its establishment, the Sustainable Development Goals Fund has worked to help bring together different actors and break down barriers to build partnerships. The Fund has been championing the role of the private sector in sustainable development projects through its ‘co-design, co-financing, co-implementation’ approach, striving to make the private sector an active partner in its work. The following are a number of Joint Programmes (JPs) that showcase the key role the private sector can play and how it can collaborate with national governments, UN agencies, civil society and local partners. This Joint Programme brings together the SDG Fund, the private sector in the form of the Sahara Group, as well as a number of UN Agencies, the Kaduna State Government and Goodwill Ambassadors the Roca Brothers, to help improve food security, empower young people and promote social inclusion in Nigeria, where the Sahara Group is based. The programme will help provide training to improve planting, harvesting, transportation and storage techniques, thus reducing post-harvest losses. It is hoped that this pilot project will be replicated in other regions, and the establishment of a Centre of Excellence as part of the Joint Programme will provide training and help promote the exchange of best practices across Nigeria and Sub-Saharan Africa. The involvement of the private sector has been crucial, not only through Sahara Group’s co-financing of the project, but due to the business perspective they bring to the program, helping ensure the viability and sustainability of the facility’s operations. Established in collaboration with UN Women, FAO, ITC, government ministries, women’s cooperatives and private companies, this SDG Fund Joint Programme had among its objectives to “promote inclusive and sustainable business practices” with regards to women’s participation in the workplace. Through a close relationship with the private sector, this programme was able to initiate long-term change and education to improve gender equality. As part of their involvement, The Bank of Palestine and the Birzeit Pharmaceuticals Company began to train staff in the use of the International Labor Organization Participatory Gender Audit Tool. This training will allow the staff to conduct a gender audit using ILO tools approved by the International Labour Organization, placing these two companies among the few in the occupied Palestinian territory that adopt gender sensitive policies and regulations based on international gender audit tools. The audit was conducted in consultation with UN Women and local experts, and the resulting report will be presented to management with concrete recommendations for improving gender sensitivity and equality, helping to bring about tangible change. Despite an average GDP growth of 7.4% in real terms for the past 4 years, increased foreign direct investment (FDI) and numerous extractive industry (EI) mega-projects have not directly translated into prosperity for local populations in Mozambique. An SDG-F Joint Programme in the Cabo Delgado and Nampula provinces aims to create new employment opportunities through training programs and policy change. A key issue is that many of these mega-projects hire foreign labour, as the majority of these jobs are highly skilled and specialized whereas a large proportion of young Mozambicans, especially women, are only qualified for low-skilled or un-skilled labour. In order to address this, the JP created a partnership with Anadarko - an American petroleum and natural gas exploration and production company, and one of two companies that hold concessions for gas extraction in the area- and INEFP (National Institute for Employment and Vocational Training) to provide training for more than 250 people so far in collaboration with ILO, with a focus on reaching young women and remote populations. This increased the availability of qualified local talent for EIs while helping bring about economic growth and security for the local population. Another key need identified with relation to this issue was the importance of facilitating and improving the capacity of local firms to take up supply contract opportunities, rather than have large companies grant contracts to foreign companies and import supplies. A market linkages forum was organized to establish links and encourage brokering between large companies and smaller local companies and agriculture producers. As a result of the success of this initiative, numerous mining companies in the region have since expressed their support for and interest in promoting local supply. Technical training was also provided in collaboration with IPEME (Institute for the Promotion of Small and Medium Enterprises) to local smallholders and district government officials, to help create an enabling local business environment. Malnutrition in children under the age of five remains a major public health issue in Viet Nam. Local partners in this Joint Programme aiming to tackle childhood malnutrition and food security included UNILEVER, private hospitals and clinics, local pharmaceutical companies, national Ministries, as well as national and local media agencies. This partnership allowed the JP to help develop new national guidelines regarding the marketing of breastfeeding substitutes and mandatory food fortification. This was not only a significant step in and of itself, but it also provided a good starting point for continued collaboration between the government, local health authorities and the private sector to help tackle pressing public health issues. As part of a Joint Programme to improve food security in the territories of Cauca in southern Colombia, an area ravaged by the armed conflict, Ferrovial has been using its business expertise and experience in the infrastructure sector to help address issues of water management. The Colombian Massif is home to the country’s most important watershed and one of the largest reserves of fresh water. However, deforestation, the effects of conflict, the emergence of illicit crops, and deregulated agricultural production have deteriorated the water resources of the region. The SDG Fund is working with local authorities, interest groups and the private sector to assess the state of water resources in the area. The aim is to develop protection plans for the watershed and surrounding forests, develop systems for integrated water management and improve the access of local communities to water and sanitation. Ferrovial has been able to bring its expertise to bear to improve access to water supplies and sanitation in the village of Los Milagros, with the end goal of establishing an integrated Water & Sanitation system in collaboration with local communities. The international aid community has realized the challenges and problems of development throughout past years. Their efforts to improve and modernize cooperation and aid implementation have been marked by the High Level Forum for Aid Effectiveness in Rome (2003), Paris (2005), Accra (2008), and Busan (2011). These meetings have emerged from the need to understand why aid was not producing the expected results. Ownership of development priorities by developing counties: Countries should define the development model that they wish to implement. Partnerships for development: Development depends on the participation of all actors, and recognizes the diversity and complementarity of their functions. In recent years, many scholars and practitioners have worked on new approaches to development cooperation with the aim to improve the mechanisms used by international agencies, donors and other development actors. Professors Andrews, Pritchett and Woolcock of the Center for International Development at Harvard University have developed a framework that focuses on problem solving rather than selling predetermined solutions. That is, it opposes the idea that the primary function of development is the identification of universal solutions - “best practices” - to common problems. Instead, it advocates working in context-specific solutions. The definition of “problem,” of course, varies according to the different interests and perspectives of the actors involved, but the deliberation is in itself a valuable exercise. According to these professors, development aid has failed in its bid to contribute to building state capabilities, among other factors, because it has focused more on imitating solutions than getting results. To exit this “trap” they have developed a strategy based on numerous cases and theories of leadership and organizational learning from numerous authors – Heifetz, Rodrik and Grindel, among others -- to lead in complex contexts and achieve development results. Pushing Problem-Driven Positive Deviance: Creating environments within and across organizations that encourage experimentation and positive deviance, accompanied by enhanced accountability for performance in problem solving. Many institutions –such as the World Bank28 and the professionals’ network Doing Development Different29- have started to incorporate this framework into their working strategies as a way to improve development cooperation and allow for effective organizational learning. Such a framework is presented in this report as a useful tool to analyze companies’ contribution and facilitate learning. The workshops and questionnaires allowed each company to exchange experiences and ideas about how they are incorporating or plan to implement the SDGs in their core business activities, operations, industries and different national contexts where each company operates. This section outlines some companies´ key efforts to overcoming the various challenges. Using the previous framework, the report focuses on how companies have confronted the challenges and how they have reacted to them in order to facilitate and convey learning among participants and other organizations. Specific solutions may change subject to the context and circumstances, but as shown through the research and work of aid institutions, there are some key principles that companies may use to achieve results in their sustainability efforts. Over 50% of the participants, following their own experience, advised constant dialogue with communities to understand real problems and to work jointly through the solutions. In this way, they may improve the mistrust and prejudices that some civil society may have about businesses. Ebro Foods spoke about their experience with farmers who, once involved in joint projects, understand the benefits of collaboration which facilitates new initiatives. H&M shared an example of adapting global goals to national contexts, the company’s Industrial Relations strategy, also referred to as Social Dialogue. The company has a global vision to contribute to well-functioning Social Dialogue in the production countries where their suppliers are located. This vision entails initiatives on enterprise, industry and national levels. For instance, the company takes actions to ensure the democratic election of worker representatives and the creation of structures for social dialogue, peaceful conflict resolution on the labor market, collective bargaining agreements, and promotion of effective supporting legal frameworks. Based on this global vision and approach, H&M has then created tailor-made local projects adapting those to the different contexts of each country’s industrial relations environment. In doing so, the company has identified different partners to collaborate with to achieve this in the different countries. To Supracafé, implementation of the SDGs and business strategy has to vary depending on the country in which it operates. For example, something as simple as paying coffee pickers in a country like Colombia becomes problematic due to lack of access to banking services for the rural population. So the company had to adapt. It contributed to generating an integral solution through phone messaging code payment. The oil company Gran Tierra Energy Inc. explained that the production in the two areas in which it operates, Moco and Villa Garzón, is coming to an end. Its priority now is to make a complete diagnosis of the land, employment opportunities and desires of workers to move towards a more sustainable industry. The company understands that it is their responsibility to provide long-term employment alternatives to their workers. Banco de Bogotá has financial inclusion programs and promotes the generation of inclusive businesses by granting microcredits at very low interest rates. In addition, the bank delivers financial services to remote locations and provides financial education for citizens. Grupo Nutresa is aware of the challenges presented by the aftermath of conflict in Colombia. Therefore, they have implemented inclusive business schemes to work with suppliers form local communities and drive economic growth in rural areas. Spain, as well as many other countries, is suffering from high youth unemployment. Due to this, KPMG Spain has realized that it has great capabilities and needs to attract youth talent that has not had equal opportunities because of the crisis. As a result, the company is pushing for youth social innovation. Ninety-five percent of people that are incorporated into training contracts remain at KPMG. They also work with people at risk of exclusion, through training and subsequent employment thanks to corporate volunteering programs led by their KPMG Foundation (SDG 10). Many participants have realized that only through experiential learning—trying and learning—they may progress with some of the more complicated problems. Sahara Group had a human resource policy in which staff at the officer level had less leave days than their superiors. Not only did this create complaints, but also absenteeism and lack of motivation among these lower level staff. Management decided to intervene by carrying out research to confirm the effect of less leave days on employees, and the result was that most of them felt tired and worn out from about the third quarter of the year. This often led to a decline in their productivity level and a higher rate of illness. Since the policy on leave days was reviewed and all staff was granted equal leave days, the organization has witnessed a significant improvement in the all-year-round performance of the people within the cadre, as most of them are now able to take about five working days every quarter. Employee morale was lifted and the rate of illness reduced. In addition, more attention has been placed on employees’ welfare since then. The medical insurance was upgraded for all employees regardless of their level within the organization. as well as ensuring economic and social development. ii. The magnitude of the challenge that poverty alleviation and financial inclusion pose. In recognition of this challenge, numerous actors must be involved, and joint public and private efforts need to be made. iii. Desired impacts, particularly in the case of poverty alleviation, do take time. This requires patience, as interventions must have a long-term horizon. iv. The achievement of poverty-alleviation impacts through the supply of financial services requires the development of long-term relationships with the clients. v. Technology and the digital transformation not only represent huge opportunities for wider and deeper financial inclusion, but also represent a strategic underpinning for microfinance models that place the customer at the very heart of their activity. It is, in fact, boosting a better, deeper and more systematic knowledge of our customers. Ingenio Providencia, a sugar producer within the Organización Ardila Lülle, started a philanthropic project in one of the schools of the Northern Cauca Valley region. However, after realizing that giving out financial resources without investing in capacities was not sustainable, it developed an apparel company attached to the school that would support the center. Currently, the company generates 4.6 million dollars a year, supporting a school of 4,000 students. This is an example of transition from a purely philanthropic initiative to a sustainable social intervention. The Mario Santo Domingo Foundation, a social institution, periodically seeks to measure the impact of its actions and programs in order to learn and improve its activities. This is done through the implementation of recurrent measurements that are contrasted with the sociodemographic baseline established at the start of the intervention. They also partner with universities to carry out impact evaluations, whose results are shared through the academia and other forums. Ingredion Colombia shared the company’s experience with the program “Carbon Footprint.” By measuring the carbon footprint of all cargo movements, it identified asymmetries in greenhouse gas emissions of different movements. Using this information, the company was able to identify the optimal way to manage transportation. Grupo Nutresa used to focus its efforts in reducing its direct water consumption. But, after measuring its water footprint along the value chain, identified that their main impacts took place in its sourcing stage. Consequently, it decided to endorse the CEO Water Mandate initiative and follow its principles, becoming a member of a local water fund and beginning to measure and mitigate the water impacts of its raw materials. Telefónica’s experience illustrates the importance of adaptability in implementing initiatives. It shared with the other participants an example where it developed a remote monitoring system for patients in Latin America, a useful platform that had been very effective in Europe. However, the technological landscape differed in the region, meaning the system had to be adapted to work through telephone messaging (sms). At the beginning of 2016, Duas Rodas launched a collaborative portal for innovation, www.planta.vc, a virtual space that offers to the public - consumers, industry, researchers, academics, etc. - the possibility of registering innovative ideas that can be transformed into products if they are technically and commercially feasible. Good ideas are rewarded with financial compensation. In order to scale up positive contributions to the SDGs, participating companies expressed the need to partner with stakeholders and others to share learnings and increase their joint impact. Ferrovial considers its investment in communities as an instrument for promoting social development. The purpose of its Social Infrastructure Project is to improve and broaden coverage and access to clean water for human consumption and basic sanitation amongst socially-vulnerable groups in Africa and Latin America, guaranteeing the sustainability of the same through comprehensive water resource management. The company’s involvement in social action projects extends beyond merely contributing donations by offering technical support, technology and the participation of experts during project implementation. Ferrovial volunteers its professionals for international cooperation projects through which they may contribute added value. RCN’s greatest strength is that through the content it produces, it directly and indirectly influences the construction of a social imagery and therefore many attitudes and behaviors in its audiences. Similarly, its convening power enables it to mobilize citizens to support social impact causes and projects. It is working on a television series to help audiences understand what reconciliation means. This project will have an evaluation component which will see changes in the level of information and change of attitude of respondents about reconciliation. Another example of positive contributions to the SDGs is RCN´s television series “Misión Impacto”, aimed at showing social entrepreneurs who are effectively combining social impact and economic success. Through 40 stories the program inspires Colombians about ways to generate economic value around the solution of environmental, education and health challenges. SABMiller has proactively explored opportunities to share water risk data. The company is working with UNESCO and other organizations to identify an appropriate platform where all actors that have such data can share it in a meaningful and productive way to inform better decision-making by the public and private sector. Postobón, part of the , promoted a private public partnership with Pepsico Foundation, EPM (largest utility company in Colombia) and the local water and sanitation company in Malambo, Colombia, where it has its main production plant. A high percentage of the neighbor population did not have access to potable water, and through the partnership fund, in two years, 5500 families got connected legally to the water system. Repsol has partnered with IPIECA*, the global association of oil and gas industry specializing in environmental and social matters, the United Nations Development Program and Columbia University to analyze the impacts of Repsol, both positive and negative, and thus be a more efficient actor in achieving the SDGs. So far, this project is in the early stages, in which the company has interviewed experts from all IPIECA companies, civil society and stakeholders. This study will also include good practices and study cases for all companies to discuss how they are working in this sector towards the SDGs. Of the four million smallholders in Olam’s supply chain, around 345,000 are embraced by the Olam Livelihood Charter. They also have direct buying arrangements with another 655,000 whom they support with microfinance and/or inputs such as seeds or fertilizer. Olam buys from the remaining three million via licensed buying agents. Launched in 2010, the Olam Livelihood Charter (OLC) formalizes its long-standing commitment to invest in the rural communities of emerging countries across the world. It is a commercial development framework that links farmers’ and customers’ needs resulting in a sustainable and reliable supply chain. For Inditex, its most critical sustainability effort focuses on its supply channels. Therefore, the SDGs are vital and relevant to all circumstances of their business. However, instead of performing a measurement of the 17 SDGs, the company decided to analyze sustainability in relation to the five dimensions posed by SDGs. It is now investigating how they could have a greater impact through their main capabilities. The SDG language (goals, objectives ...) has permeated well and concepts are no longer as ethereal as those used before. The company has 11 sustainability teams formed by local people to understand the needs of its employees, and it has also included unions in their discussions about the SDGs. In 1995, during a natural disaster in northern Cauca, Colombia’s government offered tax benefits for companies to establish facilities in the area. Pavco established a plant in the municipality of Guachené for the manufacture of pipes. The municipality, whose population is mainly of African descent, had high levels of unemployment and illiteracy. The company invested in intensive training to build the kind of workforce required for the production process. Today, employees who had never worked in a manufacturing process have technical and even professional studies and, in some cases, have taken management positions in the plant as supervisors and engineers. The plant has good indicators of production and profitability with a positive response from workers in the region. Besides its core business, Prisa Group has engaged in various projects with direct impact on the SDGs. An example is “Future Planet” done in collaboration with The Bill and Melinda Gates Foundation. This project was designed with the aim of strengthening the coverage of sustainable development issues and enriching the political and social debate on these challenges. Partnering with the Andes Coffee Growers Cooperative in Colombia, Grupo Nutresa decided to carry out a joint construction project of a benefit coffee central in order to reduce the water resource impact in this activity, improve the life conditions of the coffee growers and optimize coffee quality which is greatly determined by the benefitted process. This benefit central dropped down the use of water in about 90%, and reduced an average of four to five daily working hours that this task used to demand to coffee grain growers. According to a PwC survey, business and citizens alike consider that governments have the prime responsibility for achieving the SDGs (49% of business responders and 44% of citizens ranked Government first). Governance gaps, market failures and bad business practices undermine the potential of both businesses and governments contributing to sustainable development. Regulation cannot only enable the environment to facilitate more inclusive business, but incentivize long-term strategies that focus on sustained value creation for all, instead of short-term unsustainable value capturing. Smart policies that create incentives boost companies’ performance related to sustainability instead of penalizing companies*. Therefore, governments, international institutions and donor agencies should increase their collaboration efforts with businesses at the operational and policy level, domestically and globally. There is great potential in jointly developing innovative financing mechanisms, technologies and business models that deliver more inclusive and sustainable growth to developing countries. Around 50% of participating companies suggested that government actions and support of international institutions must be enhanced to generate awareness, create incentives, and legislate proactively to guide and facilitate companies’ actions. Ingenio Providencia has a corporate policy of profitable growth through high value-added solutions from renewable sources (sugarcane) aligned with the policy of the National Development Plan (Law 1753 of 2015) to “significantly increase the proportion of renewable energy in the overall energy sources.” The company has projected an expansion of a new capacity of renewable sources of about 100 MW. RCN Radio &Television organizes a national short story contest with the Colombian Ministry of Education. The company has partnered with the Ministry for 10 years now creating successful synergies: the ability of the State to convene and the radio and television to mobilize and broadcast. This initiative is integrated into the reading policy of the country, ensuring sustainability and contribution to national priorities. Grupo Nutresa has developed a Healthy Lifestyle Alliance with the Colombian Ministry of Education, the World Food Programme and UNICEF, which seeks to strengthen the capacities of children and adolescents from educational establishments in the country in terms of healthy eating, physical activity and hygiene practices. Also in Chile and Mexico, Grupo Nutresa in partnership with INTA - Institute of Nutrition and Food Technology of University of Chile has been working in a program to prevent childhood obesity in public schools, which has benefitted 2,107 children. Microplast-Coldeplast, a packaging company with 650 employees, is working together with the Ministry of Environment and Sustainable Development on its program of extended liability to container producers. Despite the program’s impact on producers, Microplast-Coldeplasts is aligned with its objective of responsible consumption. The company is also partnering with other institutions, companies and universities to offer a wider range of recycling and reuse options. Absence of renewable power tariffs, which affects companies in respect to renewable energy projects, and in doing so, tags Nigeria as a high risk environment for doing business. Lack of stable fiscal and foreign policies. Governments taking action to create new avenues to provide funding. Business environments that make access to grants easier. All companies participating in the workshops express their willingness to assess their contribution to the SDG Agenda. Some have already established, in addition to the traditional economic indicators, clear goals related to environmental sustainability and employee working conditions. Interestingly, many companies are already embracing standardized reporting guidelines such as the Global Reporting Initiative Sustainability Reporting Guidelines (G4/GRI). Some others, as mentioned before, are adopting international standards such as ISO 14000, a group of standards related to environmental management, or ISO 26000, which provides guidelines for social responsibility. However, as noted before, identifying the right metric remains a key challenge for companies. Grupo Nutresa conducts assessments of its social, environmental and economic goals monthly in order to assure consistent and committed work. The company has embraced different reporting guidelines like GRI and IR framework to be accountable for its management and give clear information to all the stakeholders. SERES Foundation monitors and measures all of its activities´ impacts as a key commitment for transparency in the organization and as a way to sustainably improve its projects. This way of working has become an example for companies within SERES, and has established a guide to their ethical framework for good practices. SERES, facilitates a, tool named “rsc2” 8 (developed by McKinsey&Co) to companies that collaborate with them to monitor and measure the impacts that they generate in the society. Maluquer, a food company, is currently working with the Costa Rican legislation INTE 35:01:01 to address the issues of environmental and social development to identify which areas the company has to increase its efforts in. It has aligned this initiative with its SDG strategy, identifying Goals 5, 6, 7, 8, 10, 12 and 13 as its top priority. Alta Vista is taking the first steps in assessing its environmental impact and carbon footprint, by certifying the Company with the neutral carbon seal granted by the Earth University. Their actions are aligned with the national goal of making Costa Rica a carbon neutral country by 2020. The Agbar-Suez Group created a sustainable development department three years ago, which is responsible for technical indicators. The group’s strategic plan until 2020 is in the process of integrating with the 17 SDGs. To this end, it has created a Sustainable Development Committee that integrates all areas of the company to evaluate the SDGs. Samsung’s activities in ten different areas that include people, society, and the environment are carried out under the company’s business philosophy of devoting human resources and technology to creating superior products and services, thereby contributing to a greater global society. In this sense, the company is committed to examining key performance indicators related to sustainability management in order to create a synergistic effect as it pursues economic and social values together. Ingredion Colombia has developed a balanced scorecard with indicators related to people, the planet, prosperity and products. And although it is mandatory in every country, it has been adapted to each one’s individual needs. Provide a system where Corporate Social Responsibility (CSR) activities are monitored from the local government level and upwards. Sensitization of the activities of the SDGs. Effective communication of activities to the public. Have the SDG representatives become a part of the National Council Meeting. Have quarterly meetings between the private and public sectors. Monitor the progress of SDG implementation. Some Costa Rican companies participating in the workshop shared information about the existence of an institution called “The State of the Nation.” This private entity analyzes all issues of concern for interest groups in the country (state, private sector, academia, civil society etc.) such as productivity, profits, democracy or environmental issues. Costa Rican companies are currently trying to participate in this initiative. They are assessing their impact on the SDGs by joining forces with the government and using indicators already in place rather than developing new ones. All companies agree that the SDGs should be adopted by embracing the concept of “sustainability,” which brings together economic, social and environmental aspects. They insist that the international organizations and governments should advocate more for the achievement of the SDGs, working with the media to disseminate them and their targets. Most businesses already participate in several sustainable activities, but many have yet to make the link with the SDGs. The Goals enable companies to report information on sustainable development performance using common indicators and a shared set of priorities. The common framework for sustainable development can also be helpful in shaping how to prioritize the reporting narrative and the type of performance disclosure a company makes across a variety of communications on its sustainable development performance. The KPMG Survey of Corporate Responsibility30 stated that CR (Corporate Responsibility) reporting is now undeniably a mainstream business practice worldwide, undertaken by almost three quarters of the 4,500 companies surveyed. Among them, the Global Reporting Initiative (GRI) remains the most popular voluntary reporting guideline worldwide. However, during the workshops the discussion did not only revolve around the use of SDGs as metrics or references to communicate progress on corporate sustainability, rather it was focused on how the communication of initiatives and activities is in itself a tool for the dissemination of sustainable practices. It was noted that companies, together with institutions, have to learn to better tell their stories with the SDGs and sustainable development. 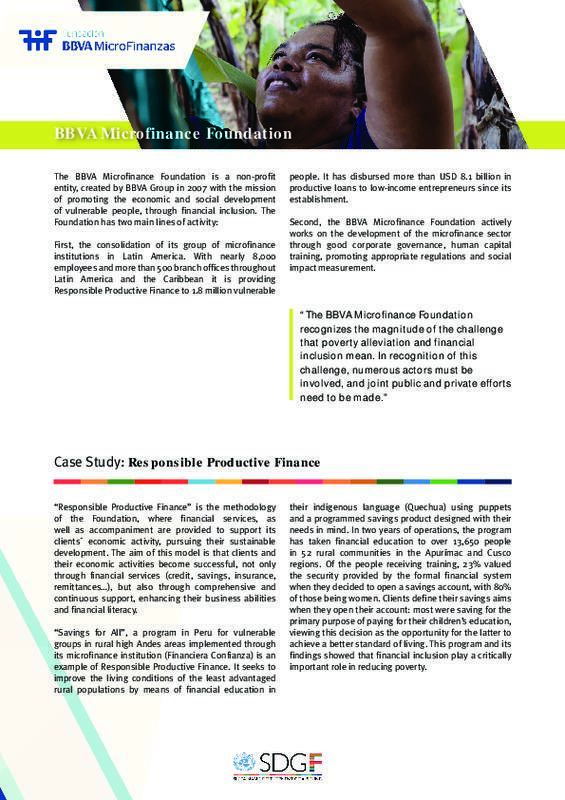 BBVA Microfinance Foundation has a system to measure on a regular basis the degree of success in meeting its sustainable development mission through dynamic quantitative and qualitative performance indicators. This system, measuring the conditions of its clients, their poverty status and their progress over time, supports its management on its decision making. Grupo Nutresa stated out that in its last Integrated Report did a match between its sustainability indicators and the SDGs in order to disclosure its contribution to the goals. As well, recommended that all participants make use of SDG Compass, a guide that aims to help businesses make the connection between their strategy and the SDGs. The SDG Compass has been developed by Global Compact in collaboration with Global Reporting Initiative and the World Business Council for Sustainable Development. Prisa Group commented that the media’s responsibility is to question and communicate stories with verified information and accurate data. To do this, it encouraged other companies to stop having low profiles when communicating good deeds, and to align their efforts with the media to tell stories that inspire other entities to join the change. Sigre spoke about its annual Social Responsibility Report in accordance with the standard Global Reporting Initiative (GRI), which is one of the main references worldwide in sustainability reporting. Duas Rodas pointed out that, while the company does not have a reporting system based on SDGs, it understands that using them in the development of an annual report would be very beneficial. This use of the SDGs would add value to the brand and create a positive image in the community and to its customers. This could help mitigate risks and optimize business opportunities. 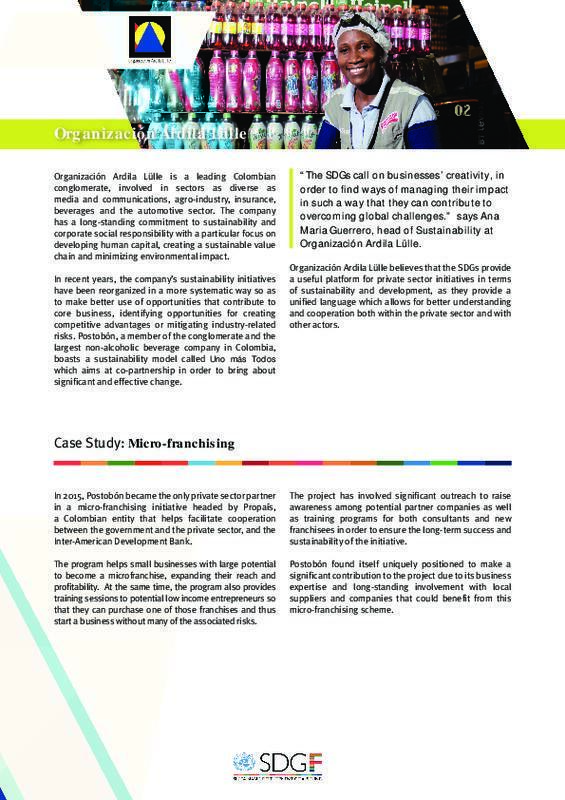 Organización Ardila Lülle companies RCN Radio, RCN TV, Postobon, Incauca and Ingenio Providencia since 2010 report sustainability performance following the GRI guidelines. This has allowed to internally document and disseminate good practices and to establish specific commitments and KPIs in order to assess progress. As companies face the challenges of integrating the SDGs into their business practices, the opportunity to learn from others within the private sector and share best practices is invaluable. The SDG Fund’s Private Sector Advisory Group (PSAG) member companies, all of whom already had an established track record of sustainable practices and policies, have been actively engaged with the SDGs since their first meeting in April 2015. As such, they can serve as models for companies at an earlier stage in their engagement with the SDGs. The following case studies give some insight into ten PSAG member companies and spotlight projects they have been working on, emphasizing how the SDGs can be incorporated into a company’s core business activity, the crucial importance of establishing diverse partnerships to bring about sustainable and targeted change, as well as the business opportunities these sustainable development projects can create. Grupo Nutresa is a food processing company with a long-standing commitment to sustainability, having been listed in the Dow Jones Sustainability Index for six consecutive years. They are based in Colombia and are considered a key player in the Latin American market, with 45 production plants, 45,000 employees and more than one million clients. They consider sustainable development as their overriding management framework, with the aim of ensuring their economic model goes hand-in-hand with social development that benefits their various stakeholders and in harmony with the environment In 2014, Grupo Nutresa identified six strategic priorities in sustainability and has backed this up both through involvement in collaborative development projects and through its core business practices. With a direct presence in 14 countries, Grupo Nutresa has put in place numerous initiatives to reduce the environmental impact of its plants, work with local farmers and suppliers, and provide business opportunities targeted at women and small vendors. “We work, convinced that every positive change towards sustainable goals that is generated together with a person, a family or a community reaches a wider environment, thus forming an increasingly stronger chain, because only when it is understood that the power to push for changes resides in each of us, is when we make “A Future Together” possible”. 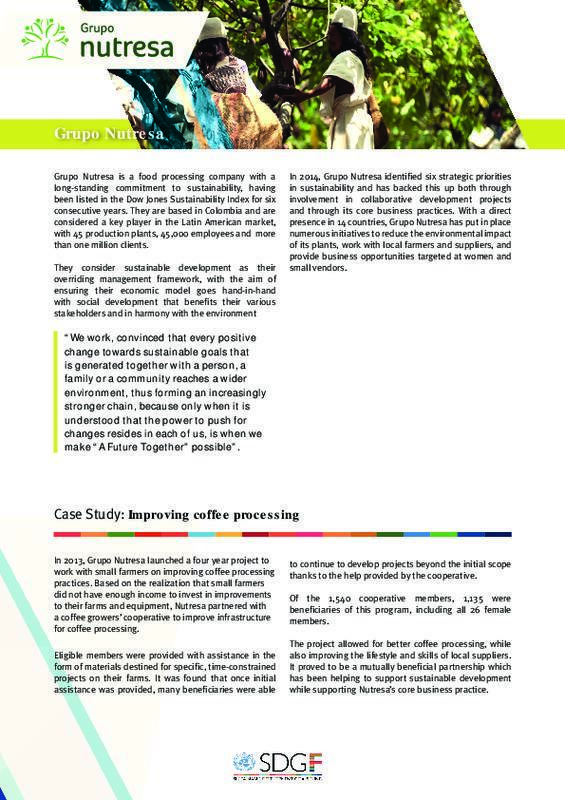 In 2013, Grupo Nutresa launched a four year project to work with small farmers on improving coffee processing practices. Based on the realization that small farmers did not have enough income to invest in improvements to their farms and equipment, Nutresa partnered with a coffee growers’ cooperative to improve infrastructure for coffee processing. Eligible members were provided with assistance in the form of materials destined for specific, time-constrained projects on their farms. It was found that once initial assistance was provided, many beneficiaries were able to continue to develop projects beyond the initial scope thanks to the help provided by the cooperative. Of the 1,540 cooperative members, 1,135 were beneficiaries of this program, including all 26 female members. The project allowed for better coffee processing, while also improving the lifestyle and skills of local suppliers. It proved to be a mutually beneficial partnership which has been helping to support sustainable development while supporting Nutresa’s core business practice. The Sahara Group is a Nigerian conglomerate with long-standing experience in the oil and gas sector, and more recently in the wider energy and infrastructure sector. It is made up of 20 operating companies and currently maintains offices and operations on four continents. With the publishing of its first sustainability report in 2014, the Sahara Group reaffirms its commitment to accountability and sustainability and is working to more closely align its numerous CSR initiatives with the SDGs. It sees these initiatives and its wider work towards attaining the SDGs as a “business safety net and trampoline for our core business and the society at large”. In accordance with their commitment to productive partnerships with local communities and reducing the impact of their activities on the environment, the Sahara Group established the Sahara Foundation which in 2015 alone had over 50,000 direct beneficiaries. “Our commitment is to promote activities that create positive business footprints through sustainable partnerships in line with our Extrapreneurship concept. This concept involves creating value through leveraging internal and external strengths to drive cross-sectoral collaboration by connecting the right people and organizations towards providing sustainable solutions to global social problems. The core of the extrapreneurship framework is ‘to create a platform that finds, creates and connects young extrapreneurs in emerging markets’. This will be achieved by leveraging on Sahara Foundation’s key strength to bring together various committed stakeholders through our platform that has the capacity to create and preserve wealth for our target beneficiaries”. The Sahara Group, in conjunction with ENACTUS Nigeria, hosts a yearly event to encourage innovation in alternative and renewable energy resources. The competition brings together students from tertiary education institutions from around the country who present projects showcasing alternative energy sources and innovations to help ensure sustainable electricity supply in Nigeria. The 2015 competition, which attracted entries from 28 different schools, involved developing simple models to reduce energy production costs and encourage the use of alternative energy sources in communities, small businesses and schools. The winning group then had the opportunity to present their ideas in front of a global audience in South Africa. This competition provides a national and international platform for young people to present their ideas and empowers them to make real change in their communities. It also serves to power innovation in the energy sector where the Sahara Group conducts most of its business, helping develop more efficient and environmentally-friendly solutions while contributing to sustainability. First, the consolidation of its group of microfinance institutions in Latin America. With nearly 8,000 employees and more than 500 branch offices throughout Latin America and the Caribbean it is providing Responsible Productive Finance to 1.8 million vulnerable people. 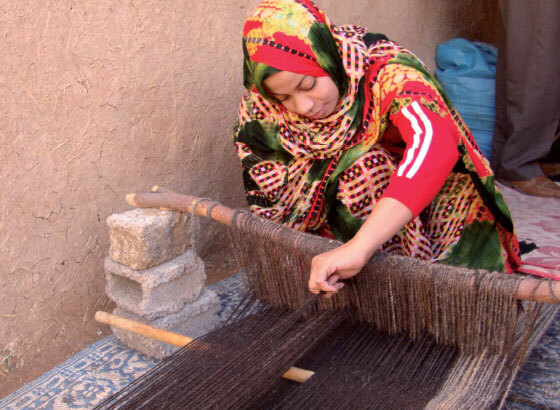 It has disbursed more than USD 8.1 billion in productive loans to low-income entrepreneurs since its establishment. Second, the BBVA Microfinance Foundation actively works on the development of the microfinance sector through good corporate governance, human capital training, promoting appropriate regulations and social impact measurement. “Responsible Productive Finance” is the methodology of the Foundation, where financial services, as well as accompaniment are provided to support its clients´ economic activity, pursuing their sustainable development. The aim of this model is that clients and their economic activities become successful, not only through financial services (credit, savings, insurance, remittances…), but also through comprehensive and continuous support, enhancing their business abilities and financial literacy. “Savings for All”, a program in Peru for vulnerable groups in rural high Andes areas implemented through its microfinance institution (Financiera Confianza) is an example of Responsible Productive Finance. It seeks to improve the living conditions of the least advantaged rural populations by means of financial education in their indigenous language (Quechua) using puppets and a programmed savings product designed with their needs in mind. In two years of operations, the program has taken financial education to over 13,650 people in 52 rural communities in the Apurímac and Cusco regions. Of the people receiving training, 23% valued the security provided by the formal financial system when they decided to open a savings account, with 80% of those being women. Clients define their savings aims when they open their account: most were saving for the primary purpose of paying for their children’s education, viewing this decision as the opportunity for the latter to achieve a better standard of living. This program and its findings showed that financial inclusion play a critically important role in reducing poverty. Organización Ardila Lülle is a leading Colombian conglomerate, involved in sectors as diverse as media and communications, agro-industry, insurance, beverages and the automotive sector. The company has a long-standing commitment to sustainability and corporate social responsibility with a particular focus on developing human capital, creating a sustainable value chain and minimizing environmental impact. In recent years, the company’s sustainability initiatives have been reorganized in a more systematic way so as to make better use of opportunities that contribute to core business, identifying opportunities for creating competitive advantages or mitigating industry-related risks. Postobón, a member of the conglomerate and the largest non-alcoholic beverage company in Colombia, boasts a sustainability model called Uno más Todos which aims at co-partnership in order to bring about significant and effective change. “The SDGs call on businesses’ creativity, in order to find ways of managing their impact in such a way that they can contribute to overcoming global challenges.” says Ana Maria Guerrero, head of Sustainability at Organización Ardila Lülle. Organización Ardila Lülle believes that the SDGs provide a useful platform for private sector initiatives in terms of sustainability and development, as they provide a unified language which allows for better understanding and cooperation both within the private sector and with other actors. In 2015, Postobón became the only private sector partner in a micro-franchising initiative headed by Propaís, a Colombian entity that helps facilitate cooperation between the government and the private sector, and the Inter-American Development Bank. The program helps small businesses with large potential to become a microfranchise, expanding their reach and profitability. At the same time, the program also provides training sessions to potential low income entrepreneurs so that they can purchase one of those franchises and thus start a business without many of the associated risks. The project has involved significant outreach to raise awareness among potential partner companies as well as training programs for both consultants and new franchisees in order to ensure the long-term success and sustainability of the initiative. Postobón found itself uniquely positioned to make a significant contribution to the project due to its business expertise and long-standing involvement with local suppliers and companies that could benefit from this micro-franchising scheme. Established in 2009, Fundación SERES is an entirely privately-funded institution whose mission is to promote corporate commitment to societal improvement in line with their business strategy and while generating value for all stakeholders involved. It is a non-profit body that brings together 129 of the largest companies based in Spain to address social needs and promote shared value models and changes in corporate culture. In their view, a key value of the SDGs is their universality, which provides a common language and shared framework for coordinating the sustainability and development efforts of all the companies they work with. SERES shares the SDG Fund’s mission to raise awareness of the SDGs. The Foundation helps communicate the importance of companies adopting the SDGs through events, workshops and the publication of numerous reports. It is specially important their work with senior management, where they engage and work with major challenges with relation to social value creation. They believe that companies who do not adopt these ideas regarding sustainable development are missing the opportunity to expand their business, reach new markets and innovate. 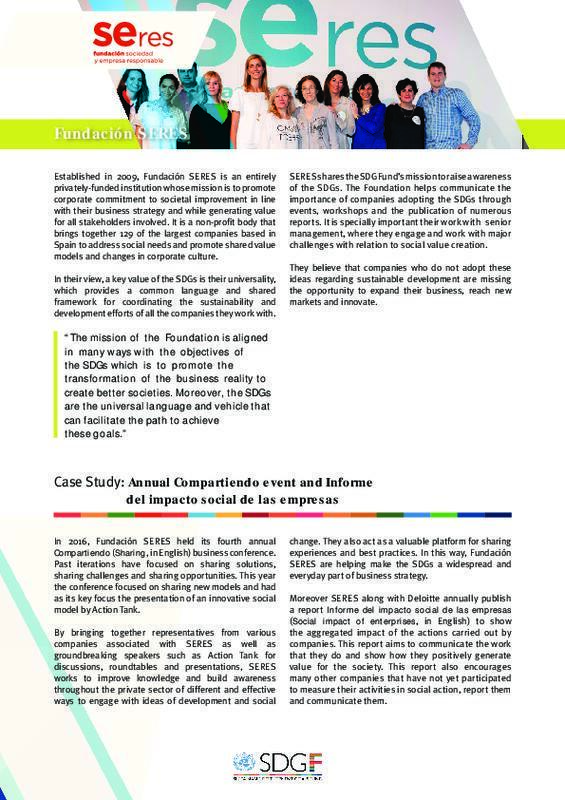 In 2016, Fundación SERES held its fourth annual Compartiendo (Sharing, in English) business conference. Past iterations have focused on sharing solutions, sharing challenges and sharing opportunities. This year the conference focused on sharing new models and had as its key focus the presentation of an innovative social model by Action Tank. By bringing together representatives from various companies associated with SERES as well as groundbreaking speakers such as Action Tank for discussions, roundtables and presentations, SERES works to improve knowledge and build awareness throughout the private sector of different and effective ways to engage with ideas of development and social change. They also act as a valuable platform for sharing experiences and best practices. In this way, Fundación SERES are helping make the SDGs a widespread and everyday part of business strategy. Moreover SERES along with Deloitte annually publish a report Informe del impacto social de las empresas (Social impact of enterprises, in English) to show the aggregated impact of the actions carried out by companies. This report aims to communicate the work that they do and show how they positively generate value for the society. This report also encourages many other companies that have not yet participated to measure their activities in social action, report them and communicate them. The Ebro Group is a leading company in the food processing sector. Originally established in Spain, it now has a presence in more than 52 countries on four continents, is the world leader in the rice sector and second largest pasta manufacturer worldwide. As a company involved in the agricultural sector, Ebro Foods understands the vested interest it has in promoting sustainable development and encouraging both the efficient use of resources and innovation in the sector. As a result, sustainability is built into every aspect of the company. Ebro encourages transparency, compliance with good governance and a commitment to consumers, employees and the responsible management of resources. Ensuring a sustainable business model is enshrined as one of the four policy objectives of its Corporate Social Responsibility policy. In 1998, the company established the Ebro Foundation as the driving force behind its social and sustainable agriculture action. The Foundation is involved in solidarity actions, cooperation programmes and projects which contribute to the socioeconomic development of the geographical regions in which the company operates. In the province of Phu Tho, Viet Nam, 84% of the population is involved in rice growing and depends on this crop for nourishment, and 30% of the population are living in poverty. As part of its work through the Ebro Foundation, Ebro Foods and Fundación CODESPA, a Spanish NGO that works to help people escape poverty through employment opportunities, launched a project in 2014 to improve food security among rice farmers in this province. The aim of the project was to improve agricultural practices and processes in order to improve yields, helping to reduce the frequent food shortages that affect this area and allowing farmers to increase their income by producing surplus crops. This was achieved through innovation in the use of fertilizers. A new pellet-form fertilizer allowed for a slower release of nutrients in the soil and was less likely to be depleted through evaporation and leaching than the traditional surface fertilizers. This change led to improved crop yields of between 13% and 25%, depending on the area, and increased farmers’ income by 18% to 40%. So far over 60,000 households are benefitting from the use of this new fertilizing system, which is sold at an affordable price and has reduced contamination by 90%. In a show of its continued commitment, in 2016 Ebro Foods joined the Sustainable Rice Platform (SRP), a multi-stakeholder association co-created by UNEP and the International Rice Research Institute to ensure sustainability all along the rice value chain. 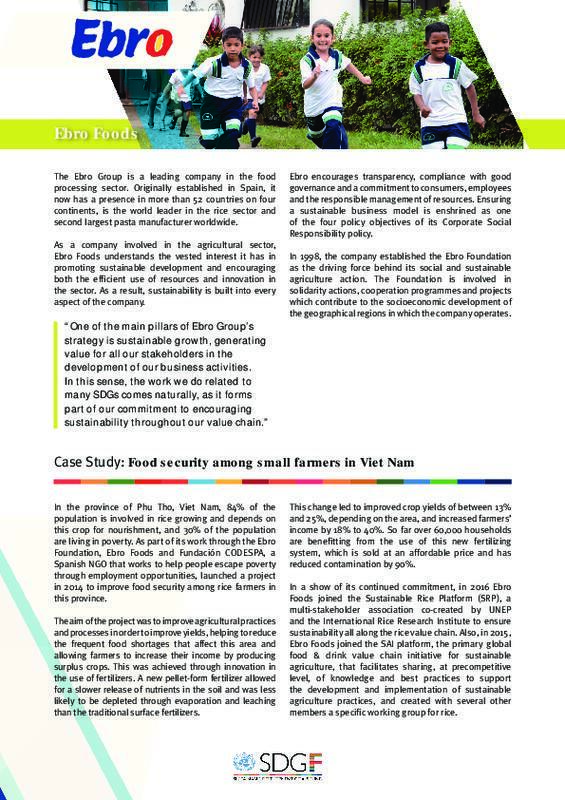 Also, in 2015, Ebro Foods joined the SAI platform, the primary global food & drink value chain initiative for sustainable agriculture, that facilitates sharing, at precompetitive level, of knowledge and best practices to support the development and implementation of sustainable agriculture practices, and created with several other members a specific working group for rice. H&M is a global fashion company based in Sweden which currently comprises of six distinct fashion brands and more than 4,100 stores in 64 markets. Their stated aim is to make sustainable, good-quality fashion accessible and affordable and use their scale to help drive systemic change making the fashion industry economically, socially and environmentally sustainable. The company recognizes that incorporating sustainable development into their business strategy is of paramount importance, as they help ensure the longevity of their business and improve the lives of those whose work is directly or indirectly related to their activities. H&M’s approach relies on a broad global vision and integration of the sustainability programs in all business funcions programs. Theseare then tailored to each specific context, designing programs and initiatives in collaboration with relevant partners in order to ensure the effectiveness and sustainability of their projects. A key appeal of the SDGs is the broad consensus and global commitment they represent and the way they encourage an inclusive and collaborative approach to development. They recognise that the SDGs are very much in line with their existing priorities and provide a good framework when designing the business’ strategy going forward and in finding new and innovative collaborations. As part of a partnership agreement signed in 2014 by H&M and the International Labor Organization (ILO), H&M, ILO and the Swedish International Development Cooperation Agency (Sida) have launched a program in Ethiopia aimed at improving industrial relations and social dialogue in the garment manufacturing sector where H&M’s suppliers operate. 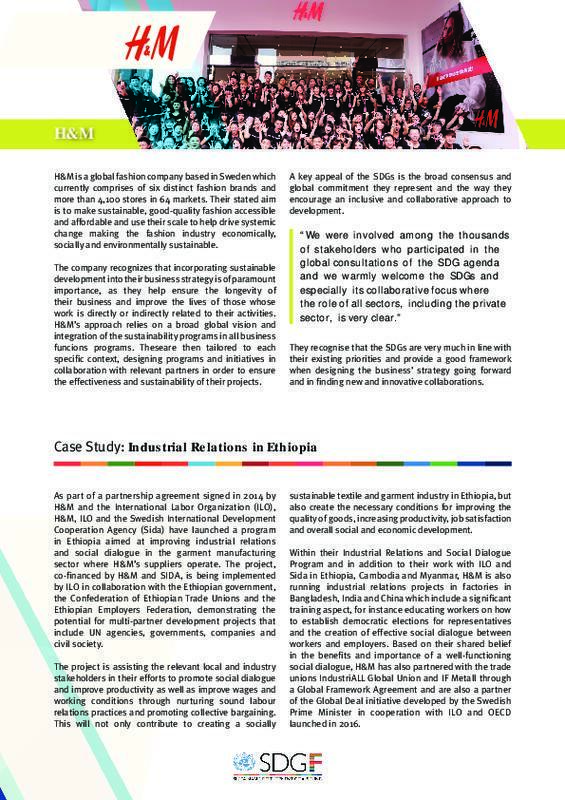 The project, co-financed by H&M and SIDA, is being implemented by ILO in collaboration with the Ethiopian government, the Confederation of Ethiopian Trade Unions and the Ethiopian Employers Federation, demonstrating the potential for multi-partner development projects that include UN agencies, governments, companies and civil society. The project is assisting the relevant local and industry stakeholders in their efforts to promote social dialogue and improve productivity as well as improve wages and working conditions through nurturing sound labour relations practices and promoting collective bargaining. This will not only contribute to creating a socially sustainable textile and garment industry in Ethiopia, but also create the necessary conditions for improving the quality of goods, increasing productivity, job satisfaction and overall social and economic development. Within their Industrial Relations and Social Dialogue Program and in addition to their work with ILO and Sida in Ethiopia, Cambodia and Myanmar, H&M is also running industrial relations projects in factories in Bangladesh, India and China which include a significant training aspect, for instance educating workers on how to establish democratic elections for representatives and the creation of effective social dialogue between workers and employers. Based on their shared belief in the benefits and importance of a well-functioning social dialogue, H&M has also partnered with the trade unions IndustriALL Global Union and IF Metall through a Global Framework Agreement and are also a partner of the Global Deal initiative developed by the Swedish Prime Minister in cooperation with ILO and OECD launched in 2016. Ferrovial is one of the world’s leading infrastructure operators and municipal services companies, committed to developing sustainable solutions. Working in the areas of Services, Toll Roads, Construction and Airports, Ferrovial feels that the private sector can make a significant contribution to development and sustainability through its core business activities. With a presence in over 14 countries, Ferrovial understands the wide-ranging impact their actions can have, and feels that companies who do not incorporate sustainability and development into their day-to-day activities will lag behind and lower both their reputations and their chances of accessing new business opportunities. Ferrovial is currently working to adapt their Corporate Responsibility Strategic Plan (Plan 2016) to better reflect the SDGs and has been included in the Dow Jones Sustainability Index (DJSI) for the fifteenth consecutive year; one of only three companies in the Construction and Engineering sector featured this year. In 2013, Ferrovial Agroman was granted a contract to begin expansion and upgrade work on the Carrera 80, which connects the city of Medellín in southwestern Colombia with the Pacific ports. Beyond being concerned with the construction of key infrastructure, Ferrovial ensured that this project contributed to sustainable development by building partnerships with local authorities and communities and by approaching challenges in accordance with the SDGs. The project site was in one of the poorest areas of Medellín and preliminary reports identified numerous challenges facing locals, including poorly-constructed housing and improper waste management. Ferrovial, in partnership with the Medellin City Council and ISVIMED (the Medellin Social and Housing Institute) worked to resettle families and evaluate the structural impact of the project on nearby constructions following completion of the roadworks. It was necessary to involve the community if the project was to be successful; people had to see it as an opportunity for boosting growth and social development in the area. Through this project, professional opportunities were created for local residents, totaling 750 direct and 500 indirect jobs, incorporating and increasing financial resources into the community. Local involvement and input was ensured through constant communication with local committees and their leaders, including a large number of women. As a result, access to homes has been improved, several further infrastructure projects are underway and local communities have been able to establish new partnerships with other regional stakeholders. 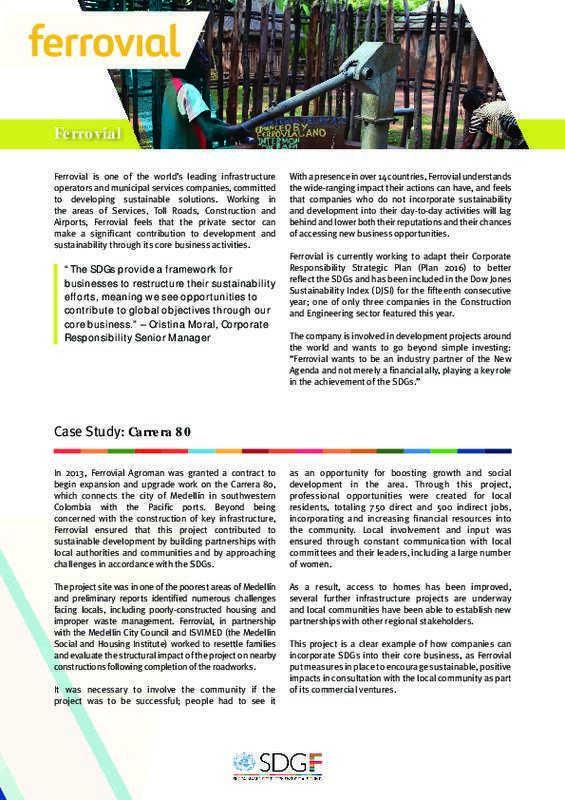 This project is a clear example of how companies can incorporate SDGs into their core business, as Ferrovial put measures in place to encourage sustainable, positive impacts in consultation with the local community as part of its commercial ventures. The PVBLIC Foundation is a non-profit organization committed to using media and new technologies to drive social change. They partner with non-profit groups and social impact campaigns with limited budgets and use their experience to create a media strategy that will increase issue awareness and effectively reach the target audience. PVBLIC pairs with a variety of partners at the local, national and global levels, from creative agencies to government agencies or documentary filmmakers, all with the aim of raising awareness on a mass scale. As key partners of the SDG Fund, PVBLIC believes that the media, and in particular social media, will be crucial in raising awareness and organizing concerted efforts to help achieve the SDGs by 2030. 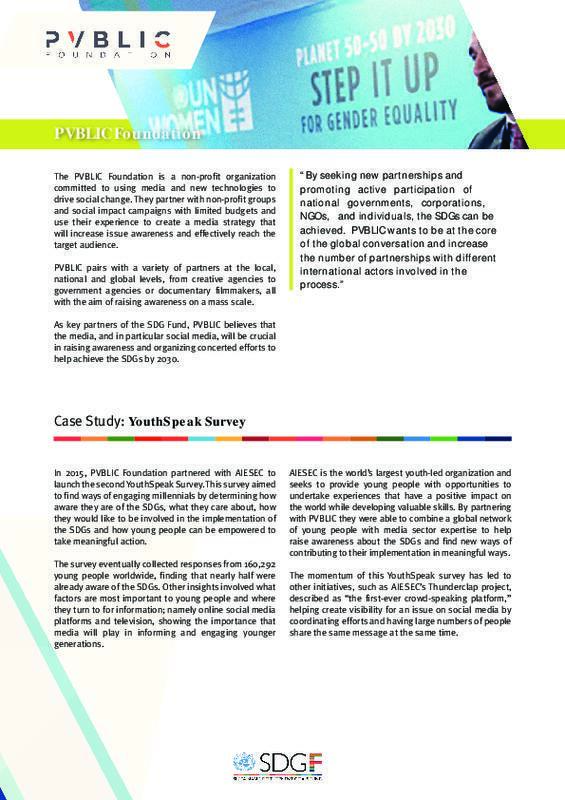 In 2015, PVBLIC Foundation partnered with AIESEC to launch the second YouthSpeak Survey. This survey aimed to find ways of engaging millennials by determining how aware they are of the SDGs, what they care about, how they would like to be involved in the implementation of the SDGs and how young people can be empowered to take meaningful action. The survey eventually collected responses from 160,292 young people worldwide, finding that nearly half were already aware of the SDGs. Other insights involved what factors are most important to young people and where they turn to for information; namely online social media platforms and television, showing the importance that media will play in informing and engaging younger generations. AIESEC is the world’s largest youth-led organization and seeks to provide young people with opportunities to undertake experiences that have a positive impact on the world while developing valuable skills. By partnering with PVBLIC they were able to combine a global network of young people with media sector expertise to help raise awareness about the SDGs and find new ways of contributing to their implementation in meaningful ways. The momentum of this YouthSpeak survey has led to other initiatives, such as AIESEC’s Thunderclap project, described as “the first-ever crowd-speaking platform,” helping create visibility for an issue on social media by coordinating efforts and having large numbers of people share the same message at the same time. SABMiller is a multinational brewing and beverage company with a presence in more than 80 countries and over 70,000 employees. They are committed to their work in sustainable development and wish to do business in a way that improves livelihoods and builds communities. The company has made vast strides in implementing the SDGs as part of its business strategy. SABMiller’s sustainable development strategy and sustainable development reports specifically use the SDGs as a framework for outlining the work and progress they have made. Furthermore, they understand the importance of moving beyond philanthropy to a business model that fully integrates ideas of sustainable development- an attitude that is demonstrated through a sustainable development strategy based on “five shared imperatives,” acknowledging the need to work with local communities, suppliers, governments and consumers to tackle joint risks and create mutual benefits. The company sees the SDGs as a valuable tool for businesses, creating a framework for collaboration and a way of connecting sustainability efforts with the creation of business value. In an effort to facilitate the application of the SDGs to all businesses, SABMiller, in partnership with Earth Security Group, has created an SDG business impact tool which acts as a lens through which potential avenues for engagement with sustainable development within core business activities can be understood. As part of its “a resilient world” imperative, SABMiller has launched a number of initiatives aimed at achieving a more efficient use of water. This is based not only on a commitment to environmental sustainability, but the reality that water is an essential part of the brewing process and therefore essential to SABMiller’s continued productivity. 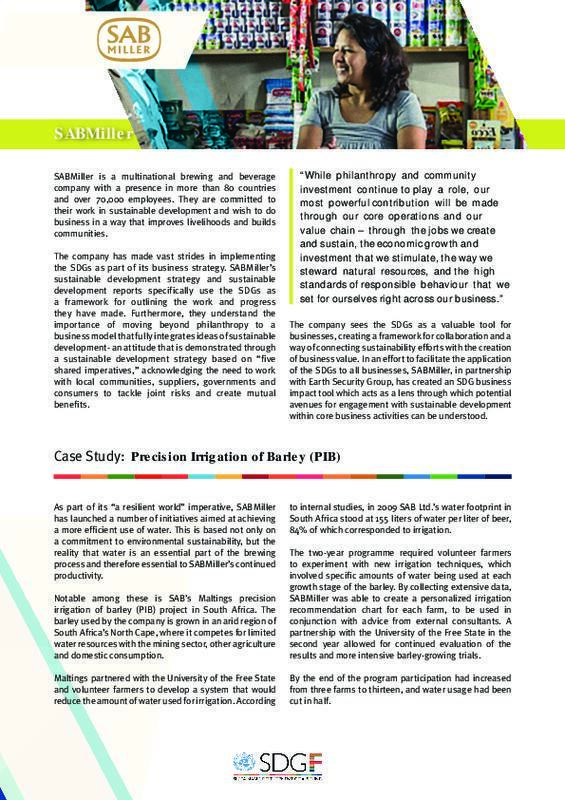 Notable among these is SAB’s Maltings precision irrigation of barley (PIB) project in South Africa. The barley used by the company is grown in an arid region of South Africa’s North Cape, where it competes for limited water resources with the mining sector, other agriculture and domestic consumption. Maltings partnered with the University of the Free State and volunteer farmers to develop a system that would reduce the amount of water used for irrigation. According to internal studies, in 2009 SAB Ltd.’s water footprint in South Africa stood at 155 liters of water per liter of beer, 84% of which corresponded to irrigation. The two-year programme required volunteer farmers to experiment with new irrigation techniques, which involved specific amounts of water being used at each growth stage of the barley. By collecting extensive data, SABMiller was able to create a personalized irrigation recommendation chart for each farm, to be used in conjunction with advice from external consultants. A partnership with the University of the Free State in the second year allowed for continued evaluation of the results and more intensive barley-growing trials. By the end of the program participation had increased from three farms to thirteen, and water usage had been cut in half. The UN Global Compact (UNGC) has developed a number of tools which can help businesses eager to integrate the Sustainable Development Goals into their day-to-day activities. These tools can help overcome common challenges such as finding the most productive ways of incorporating the SDGs into core business activities, adapting the Goals to specific contexts and businesses, measuring progress and impact, and building productive partnerships based on a common commitment to the Sustainable Development Agenda to better enjoy the benefits of this engagement. The United Nations Global Compact is a call to companies everywhere to align their operations and strategies with ten universally accepted principles in the areas of human rights, labour, environment and anti-corruption, and to take action in support of UN goals and issues embodied in the Sustainable Development Goals. The UN Global Compact is a leadership platform for the development, implementation and disclosure of responsible corporate practices. Launched in 2000, it is the largest corporate sustainability initiative in the world, with more than 9,000 companies and 4,000 non-business signatories based in over 160 countries, and more than 80 Local Networks. The UN Global Compact is a voluntary initiative that brings together diverse businesses “to advance United Nations values and responsible business practices within the United Nations System and among the global business community”1. UN Global Compact aims to mainstream sustainable business engagement, based on the belief that deep, systemic transformations, such as that called for by the SDGs, will not be achieved without the full engagement of the private sector and a widespread commitment to sustainable business. Through a Making Global Goals Local Business campaign, the UN Global Compact works to raise awareness of the SDGs among businesses around the world. To move from awareness to action, the UN Global Compact offers participants an extensive toolbox including next-generation solutions platforms, an online UN Business Action Hub at business.un.org and resources, such as the SDG Compass, the SDG Industry Matrix and tools focused a range of specific issues aligned with the SDGs. The SDG Compass was developed with a focus on large, multinational enterprises, however small and medium enterprises (SMEs) and other organizations are also encouraged to use it, adapting as necessary. It is designed for use at entity level, but may also be applied at product, site, divisional or regional level as required. As a first step, companies are assisted in familiarizing themselves with the SDGs. Both SMEs and large companies are called on to play a key role in the implementation of the SDGs from the bottom up. There are material, market-based and social-based drivers and incentives for all companies, so no matter their size, geographic location or sector, a sound understanding of the SDGs and the way they relate to the company’s business strategy is relevant and beneficial. To benefit from key business opportunities presented by the SDGs and reduce risks, companies are encouraged to define their priorities based on an assessment of their positive, negative, current and potential impact on the SDGs across their value chains. Goal setting is critical to a business’s success and helps foster shared priorities and better performance across the organization. By aligning company goals with the SDGs, leadership can demonstrate its commitment to sustainable development. Integrating sustainability into the core business and governance, and embedding sustainable development targets across all functions within the company are key to achieving set goals. To pursue shared objectives or address systemic challenges, companies increasingly engage in partnerships across the value chain, within their sector or with governments and civil society organizations. The SDGs enable companies to report information on sustainable development performance using common indicators and a shared set of priorities. Identifying future business opportunities: The SDGs aim to redirect global public and private investment flows towards engaging with global challenges. In doing so they define growing markets for companies that can deliver innovative solutions and transformative change. Enhancing the value of corporate sustainability: Whilst the business case for corporate sustainability is already well-established, the SDGs may, for example, strengthen the economic incentives for companies to use resources more efficiently, or to switch to more sustainable alternatives. Strengthening stakeholder relations and keeping the pace with policy developments: The SDGs reflect stakeholder expectations as well as future policy directions at the international, national and regional levels. Companies that align their priorities with the SDGs can strengthen engagement of customers, employees and other stakeholders, and those that do not will be exposed to growing legal and reputational risks. In this sense, beyond materiality considerations, companies that align their strategies and goals with the SDGs will have the incentive and know-how to optimize their investment in CSR and development projects. By committing to these universal goals and aligning their strategies with the SDG Agenda in a way that responds to the specific context in which they operate, companies will be in the best position to create trust and engage in principle-based partnerships with other public and private stakeholders. The individual commitment of a company through participation in local organizations or thematic platforms can scale the value of their engagement, granting access to national, regional and relational networks linked by a universally-acknowledged Agenda, including a common language and shared purpose. The SDGs define a common framework of action and language that will help companies communicate more consistently and effectively with stakeholders about their impact and performance. The goals will help bring together synergistic partners to address the world’s most urgent societal challenges. As part of their aim to engage with global issues on a local scale, the UN Global Compact has also developed what they call Local Networks. These are independent, self-governed, self-managed entities that work with Global Compact to help companies understand what responsible business and engagement in sustainable development means in their specific national, cultural and lingual context. They facilitate outreach, policy dialogue and education through seminars, issue-specific workshops and consultation and by providing a platform for networking and collaboration between businesses and varied stakeholders, including NGOs, governments and academia. Much like the workshops run by the SDG Fund, these kinds of networks can help businesses identify sustainability challenges, opportunities and share experiences and best practice. In this way they can lead to a better engagement with the Sustainable Development Agenda and help provide the support needed for more companies to begin working towards these targets. Provide a business perspective within wider dialogues relating to national priorities and SDG action plans. Facilitate partnerships and collective action for the implementation of the SDGs. Promote accountability measures and reporting procedures to track progress made towards implementing the SDGs. Helping to mainstream business goal—and strategy—alignment with the SDGs through training and the dissemination of reference documents and tools such as the SDG Compass. Contributing to the establishment of a public-private multi-stakeholder policy space for businesses to engage with the challenge of advancing the SDGs at the local level. Dialogue can be oriented to reinforce and complement public policies for the advancement of national SDG action plans. The Local Networks will bring together diverse entities to combine business experience with institutional insight, national policy-making and innovative research. Local Networks must be as inclusive as possible in order to broaden and enrich policy dialogues and create new and diverse partnerships. By creating a unified dialogue and policy-making process, these networks can help ensure a common strategic approach, greater accountability and a more significant impact. Fourth, the Local Networks will explore how to best foster resources mobilization to finance local SDG initiatives, working with both public and private sector investors, development banks, corporate foundations and philanthropic organizations in line with Global Compact’s Principles of Responsible Investment. These Local Networks therefore serve as a useful environment in which to bring together all relevant stakeholders to create targeted, contextualized solutions. From the point of view of the private sector, it means an opportunity not only for learning more about the SDGs, but also to engage with more ‘traditional’ development partners to ensure business experience and assets are leveraged, while creating new opportunities for companies. This report has sought to explore the concept of universality, a fundamental dimension of the SDGs, but one that presents unique challenges. It establishes that the Sustainable Development Agenda applies to all, is the responsibility of all, and as such, all can play a part in its success. The 2030 Agenda therefore does not simply allow a space for the private sector to become involved, it actively requires its participation to tackle these global challenges. Through the workshop discussions and questionnaires received from participating companies it has become clear that there is significant interest within the private sector to engage with a common framework that will guide sustainable development practices, which up to this point have often been considered under the general umbrella of Corporate Social Responsibility or environmental initiatives. A common thread throughout this study has been an acknowledgement on the part of businesses that regardless of size, sector, geographic presence or any other differentiating factor, every company has a role to play within the 2030 Agenda. This is heartening to see, as it is very much in the spirit of the universality principle. This series of workshops provided the opportunity to work not only with Private Sector Advisory Group companies, but also with a wider range of businesses at different stages of their engagement with the SDGs. While all were evidently interested in the subject, it was clear that these workshops and the opportunity to share knowledge and best practices with other companies were an eye-opening experience for all. In response to questionnaires regarding current practices or measures put in place to ascertain the impacts of development initiatives, many companies admitted that they were yet to implement these, but now had a clearer idea of how to go about it. Alternately, the discussions and further information which they had received concerning the SDGs had led them to the realization that a number of their current initiatives already contributed to the achievement of one or more of the Goals, and with small adjustments could be brought further in line with the Agenda’s targets and aims. This shows that while companies face a number of challenges in becoming involved with the Sustainable Development Agenda, much of this starts simply with the need for a better understanding of the SDGs and what universality means in practice. It is not enough to know that the goals apply to all and that all have a role to play, companies need to be able to understand the Goals far more specifically in terms of what it means for their business and how their core activities can support the Agenda while creating new opportunities for growth. It is important to remember that universality allows for different kinds of involvement and implementation depending on the specific context and constraints of each company, so that each must evaluate how they can best contribute to the Agenda and what particular challenges they may face in implementing the SDGs. The development of tools such as the SDG Compass and Local Networks is helping bridge this gap. Increasingly widespread adherence to the Goals and better knowledge of them will come with a better understanding of how they are relevant to each entity, whether in the public or private sector. There is also a need to develop indicators that will be meaningful for businesses. Companies need to be able to quantify the impact of their activities and investments and, more generally, it is important to see what progress is being made towards achieving the SDGs and related targets. As such, what is an essential part of the implementation of the Sustainable Development Agenda will also serve to help engage businesses and act as an incentive for involvement. Keeping the private sector in mind, among other actors, when developing these indicators can help ensure they reflect the SDGs’ universality. It is clear that the SDGs provide not only responsibilities but also significant opportunities for the private sector, and it is clear that businesses are realizing this. Numerous CSR and sustainability initiatives are now commonplace but businesses have welcomed the SDGs as an overarching framework that can lead to more coordinated initiatives, working with a common language and a common set of targets, and resulting in a more effective use of the resources and energy that companies expend on sustainability and development. Securing the longevity of key resources, creating more engaged workforces, discovering new markets and driving innovation are all key incentives and feature in many of the programs now being implemented by PSAG member companies. Clearly, the private sector is looking for new ways of engaging with sustainable development and it is important that they do not do this in isolation. While a number of companies are starting independent projects, the SDG Fund is working to design Joint Programmes that bring together partners from both the private and public sector as co-designers, co-investors and co-implementers, in order to leverage a wide pool of expertise. The SDG Fund’s experience of working with the private sector has been very positive. Companies are sharing with the Fund their valuable expertise and trying to find ways to work together with the public sector and promote the implementation of SDG 17 (check the SDG Fund’s webpage to see all the JPs with the private sector: www.sdgfund.org). The programmes are only possible because of these diverse and productive alliances and help provide the governmental and institutional support that many companies need to become better involved in the Sustainable Development Agenda, while leveraging their business expertise to create viable solutions and working together to raise more widespread awareness of the SDGs. The universality of the SDGs has significant implications in terms of working towards their achievement. It extends a clear invitation to the private sector, creating a framework that not only values but also requires their contribution. While this is a departure from most traditional practices within the public sector and development in general, it can lead to a far wider engagement with the SDGs and new avenues of progress. Keeping in mind the private sector’s need for a more targeted understanding of their potential contribution and specific indicators to quantify their involvement can, along with continued consultation and dialogue, help build a more productive public-private partnership for development in the coming years.